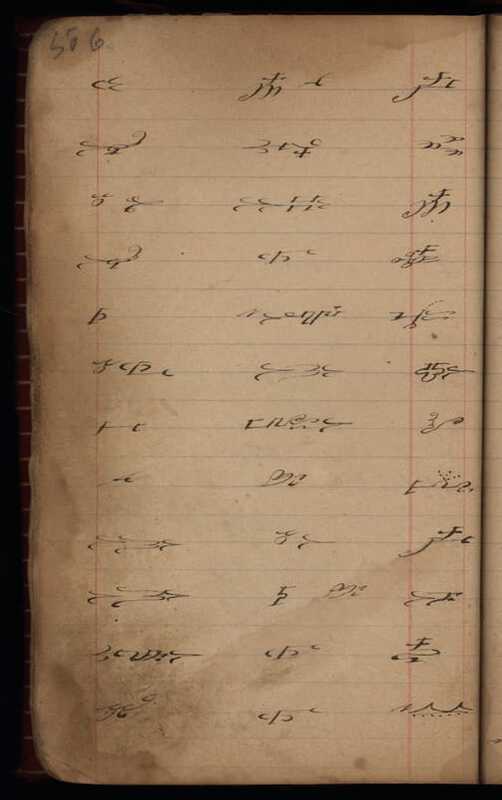 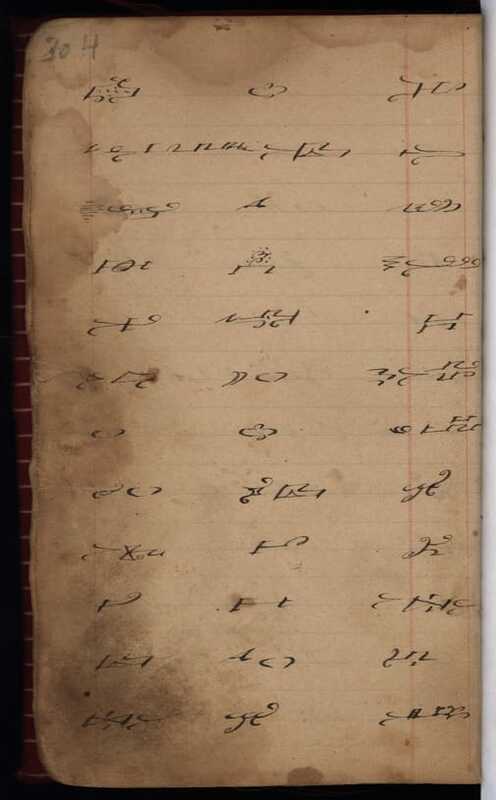 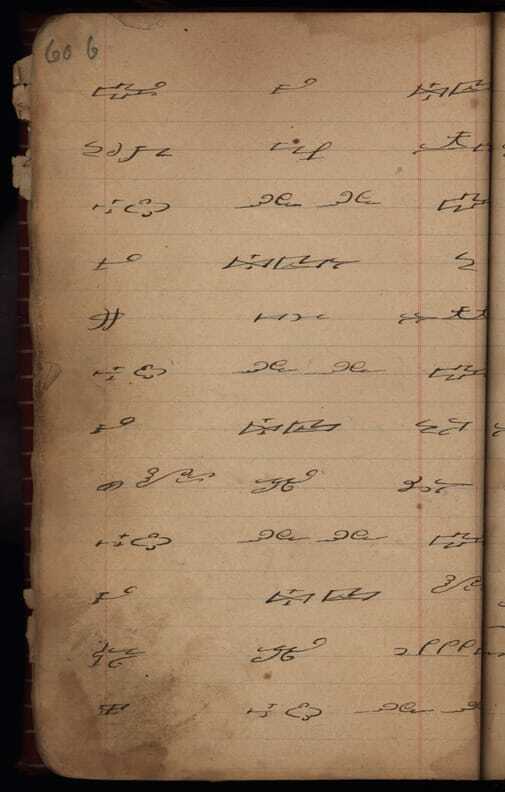 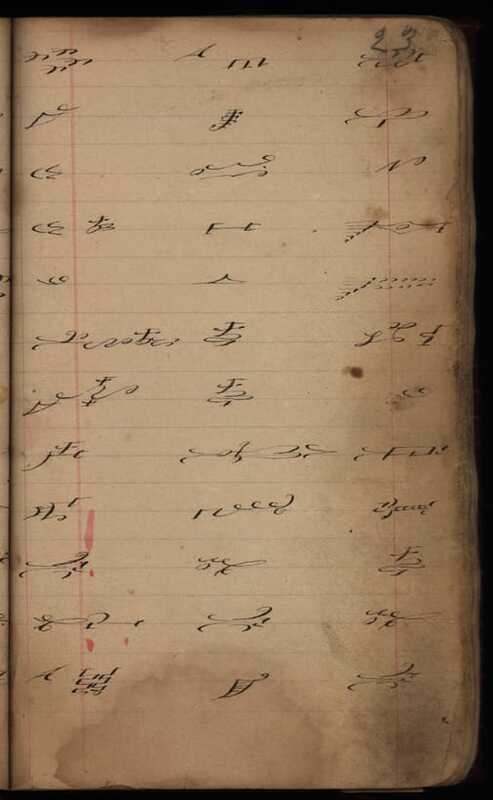 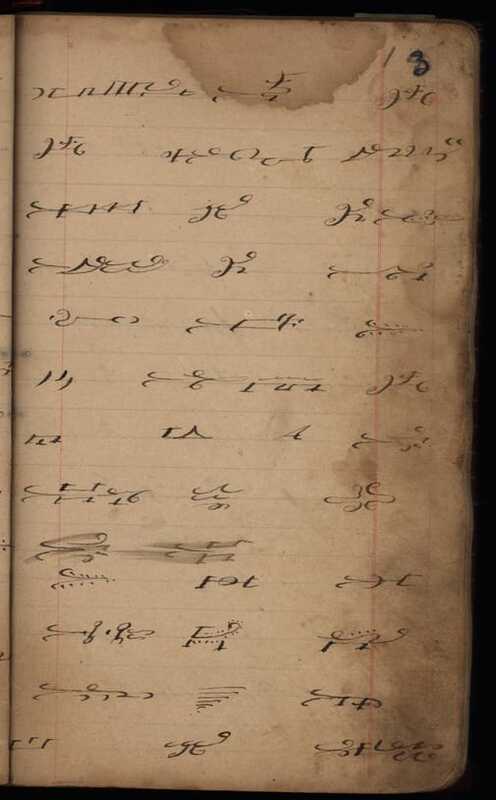 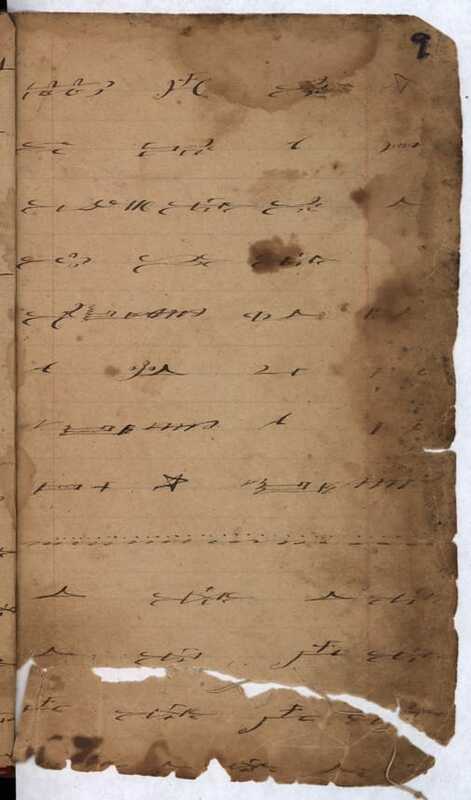 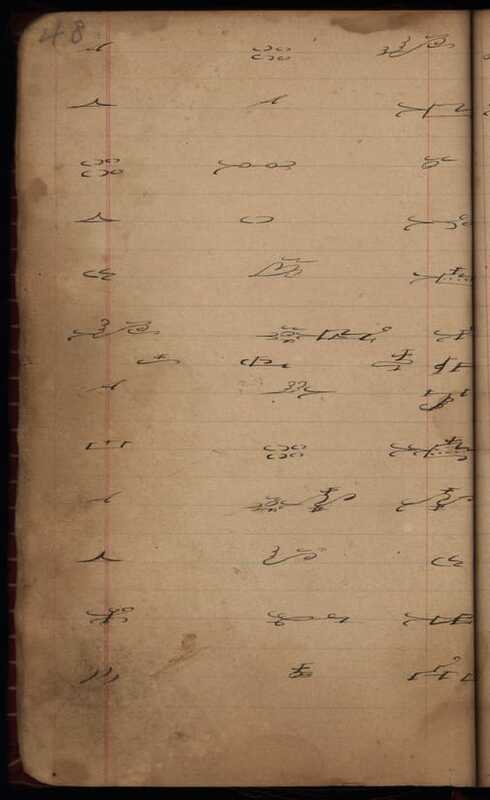 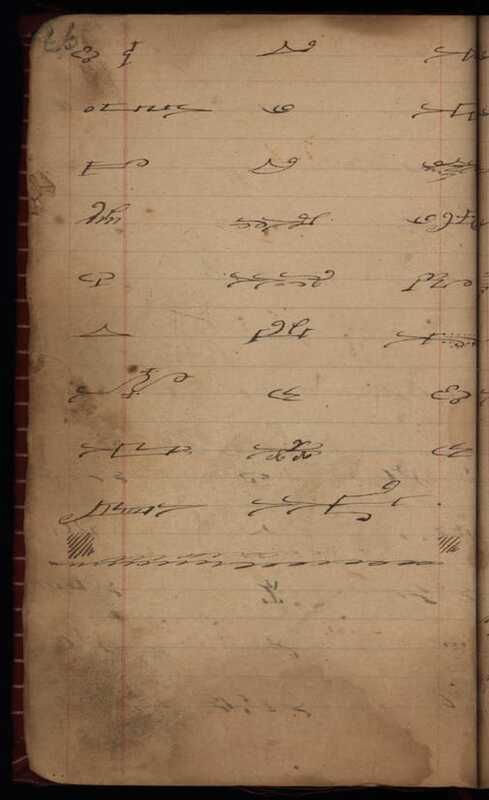 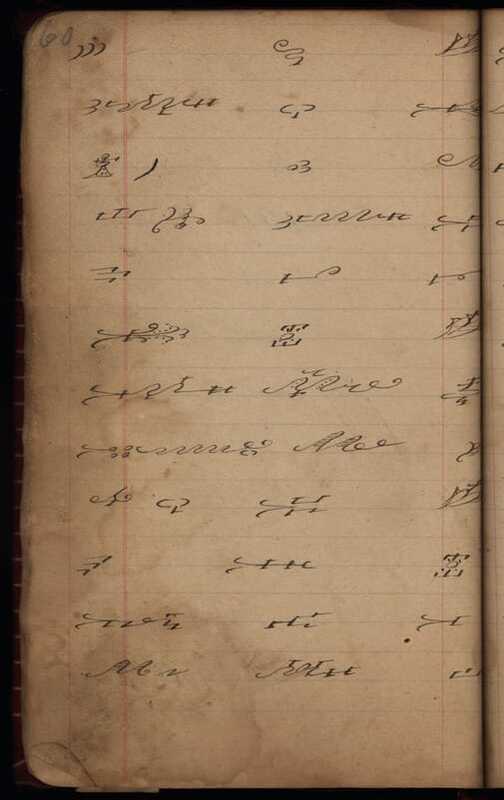 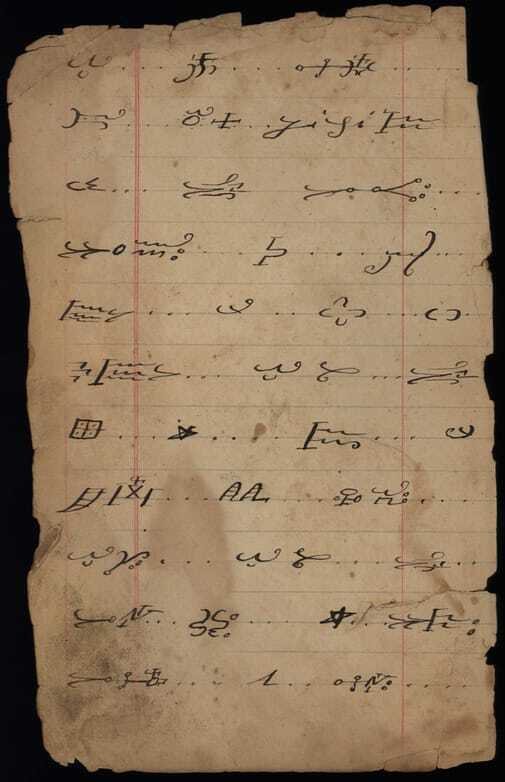 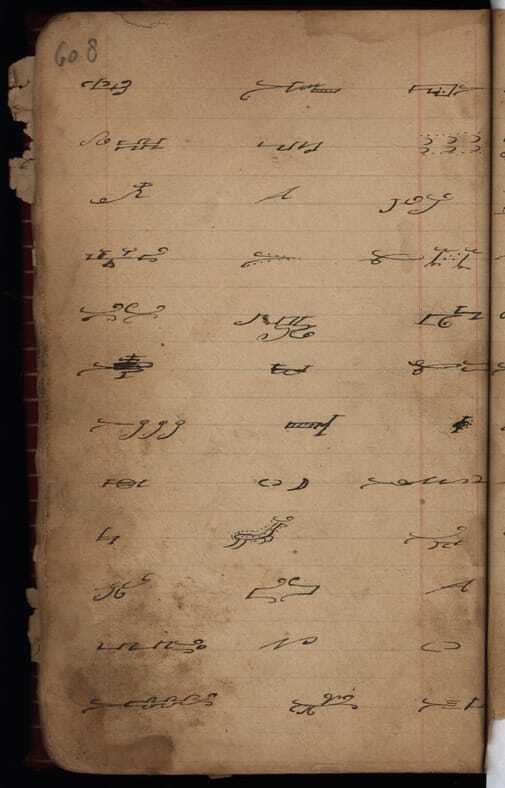 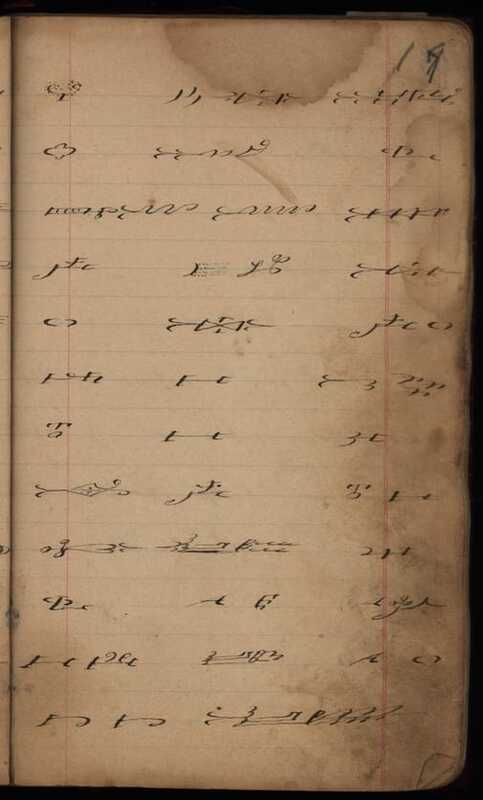 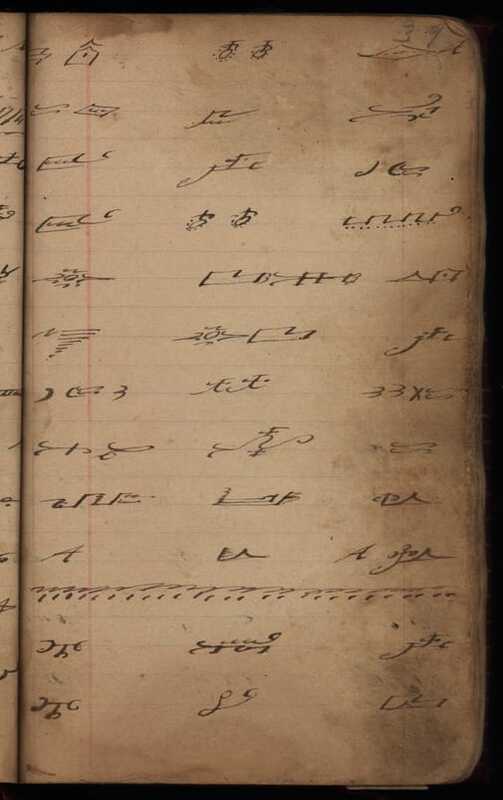 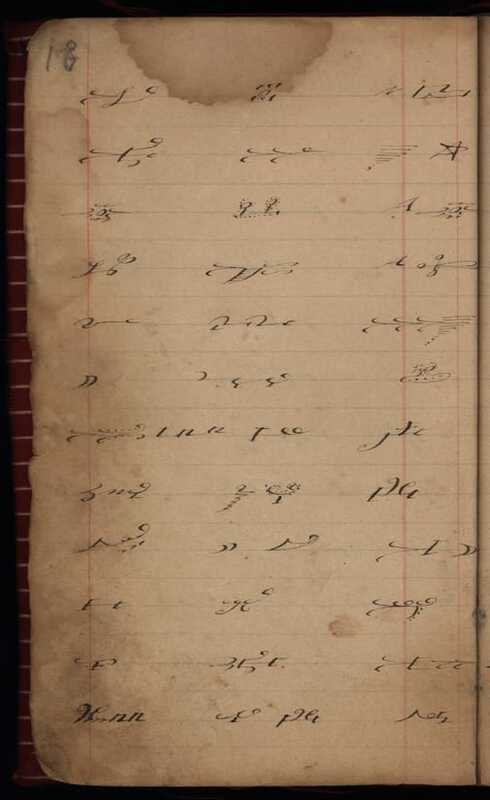 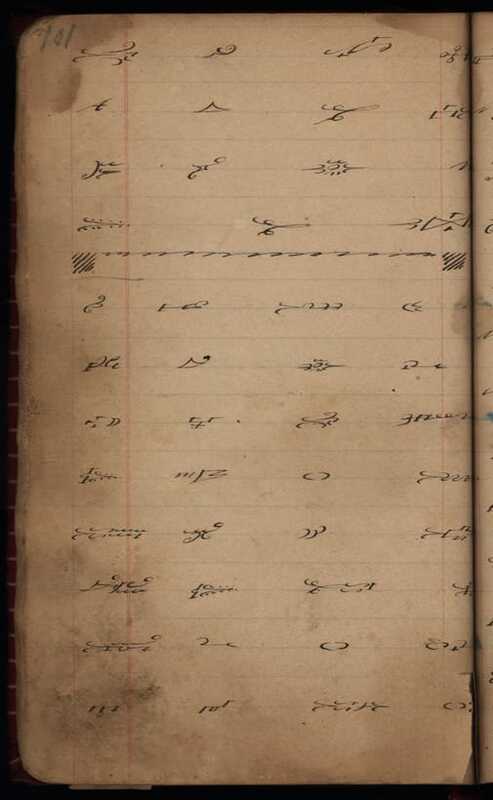 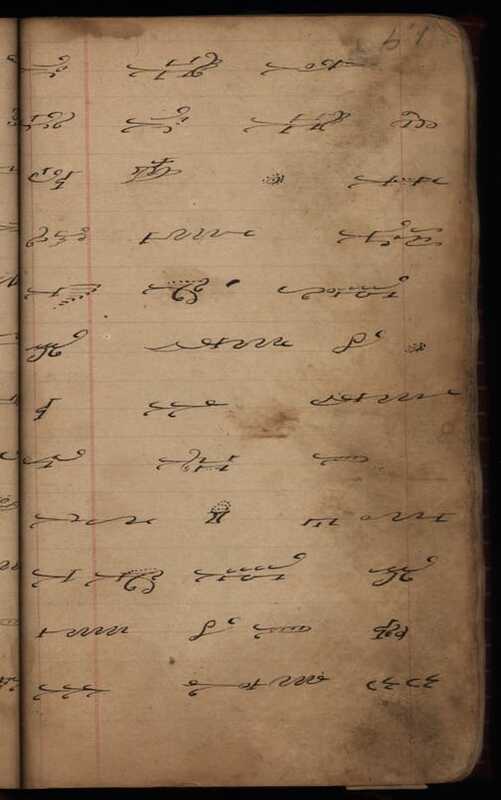 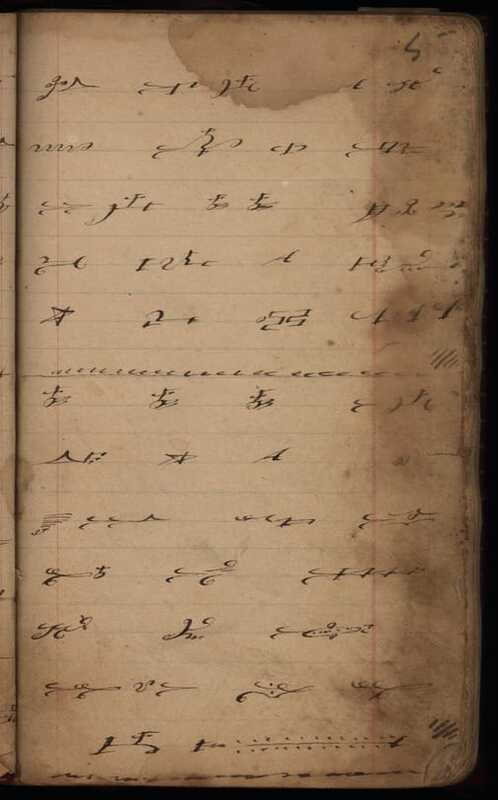 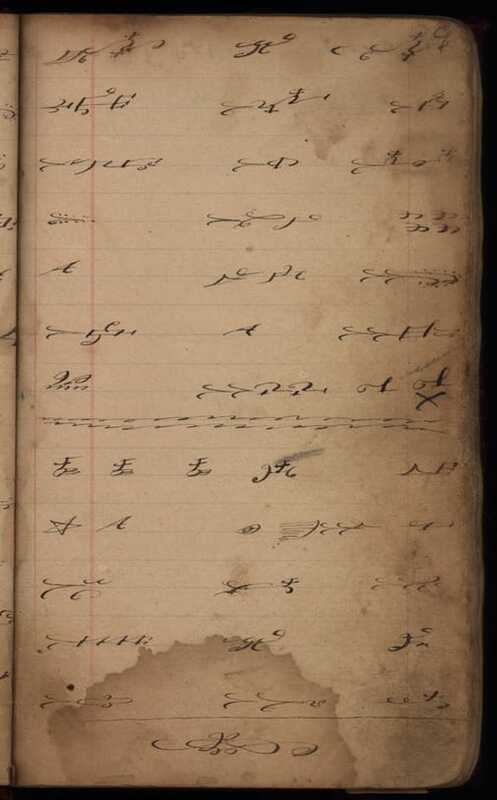 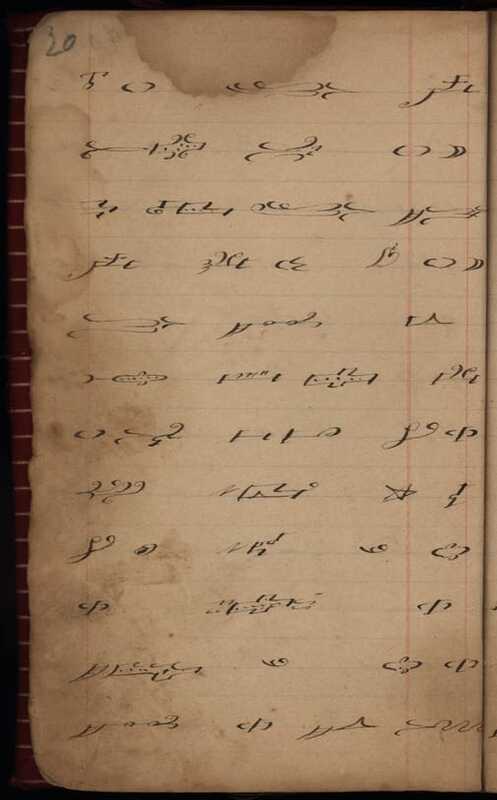 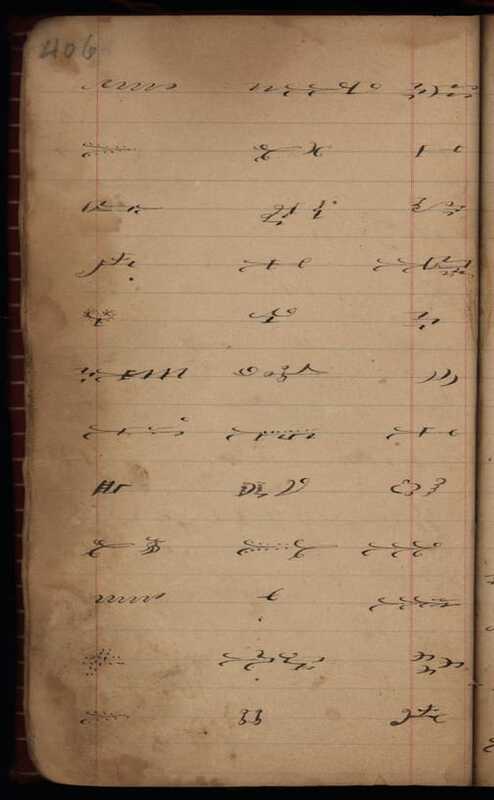 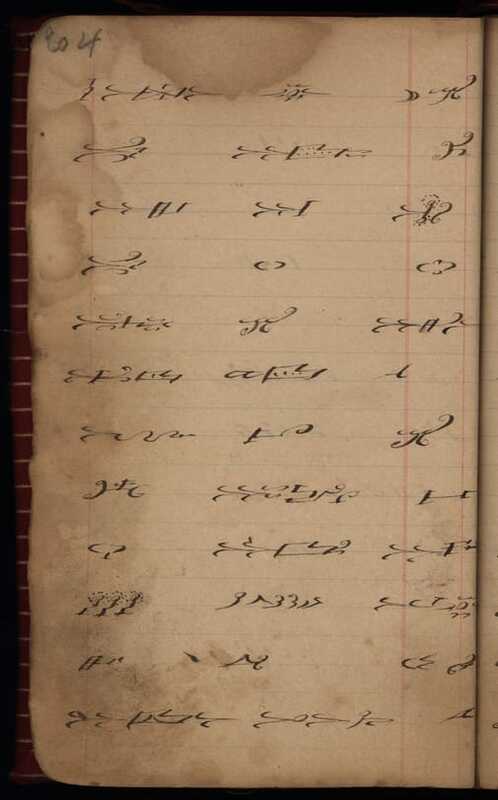 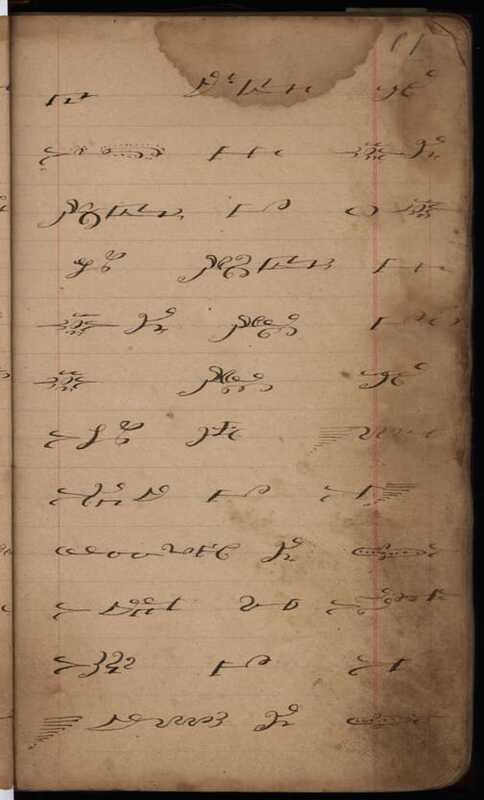 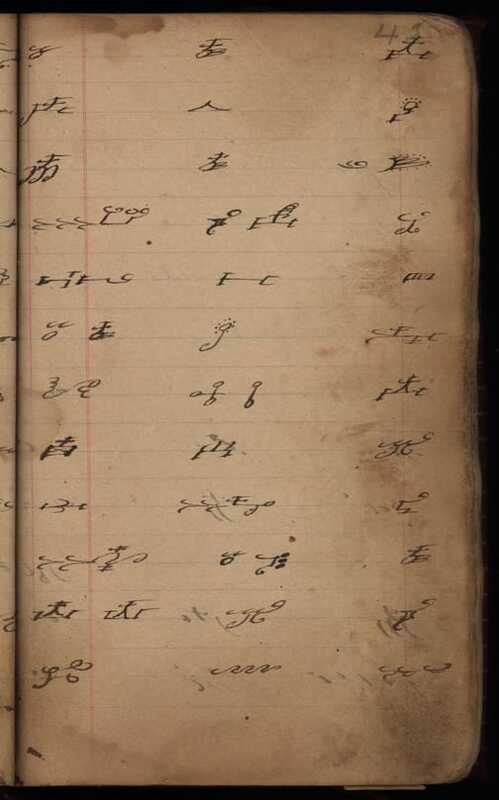 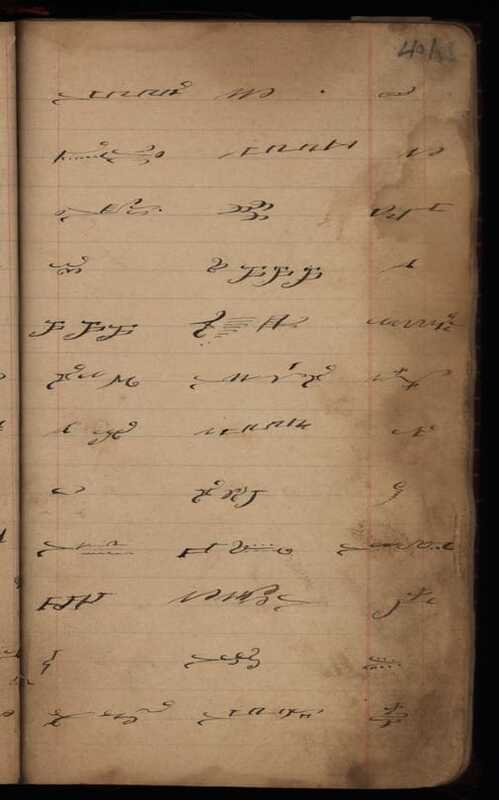 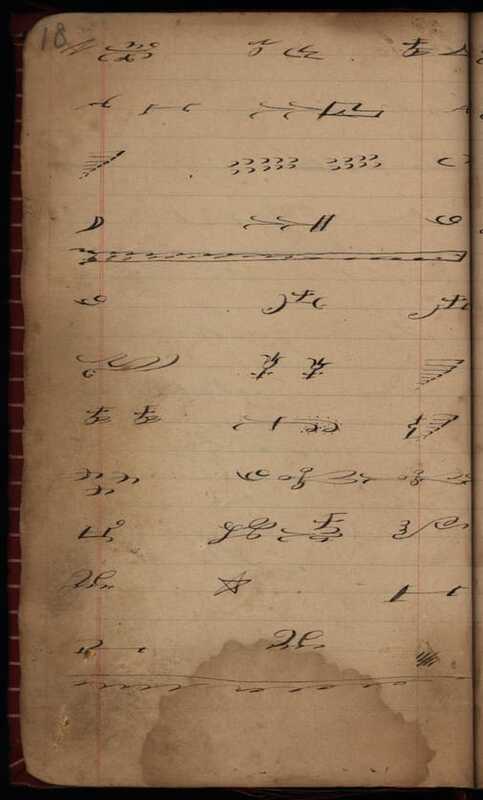 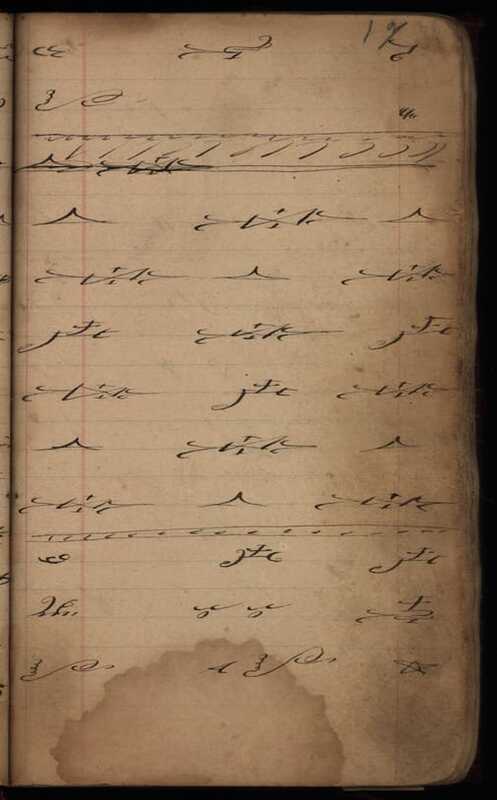 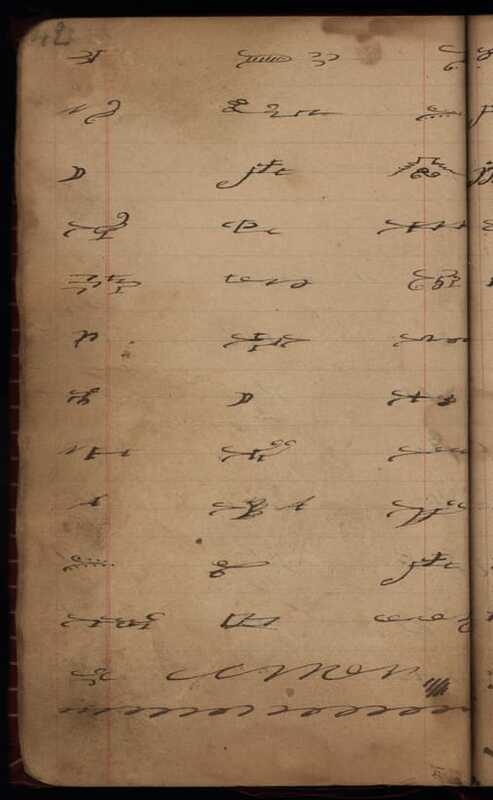 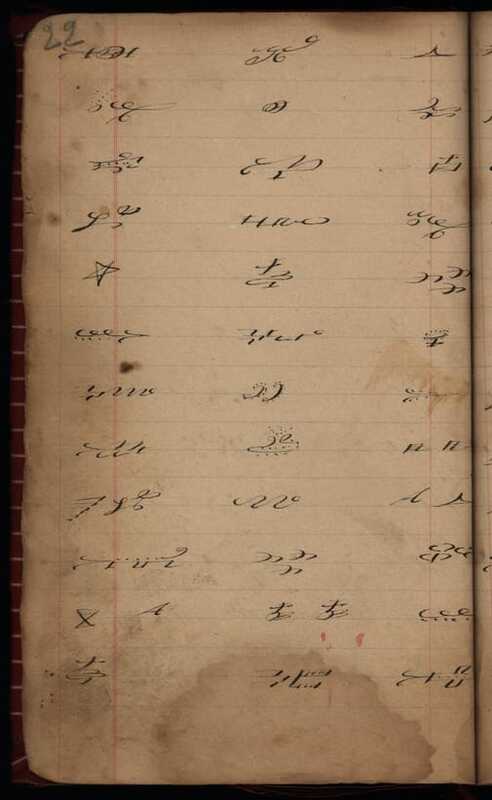 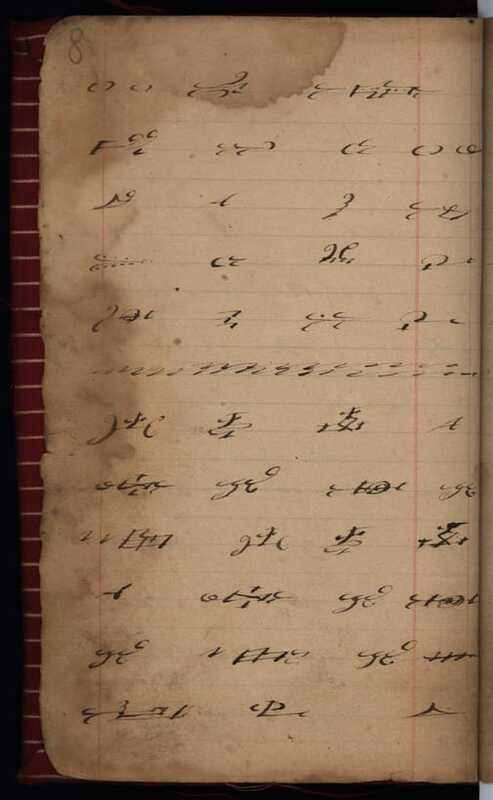 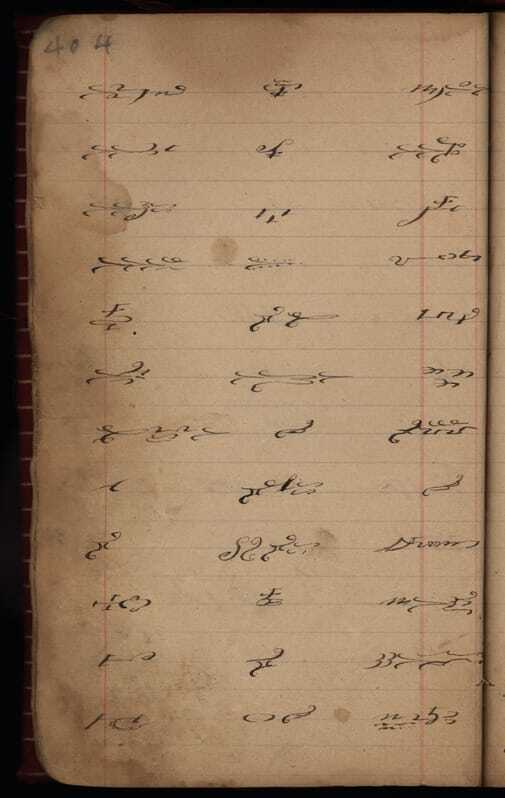 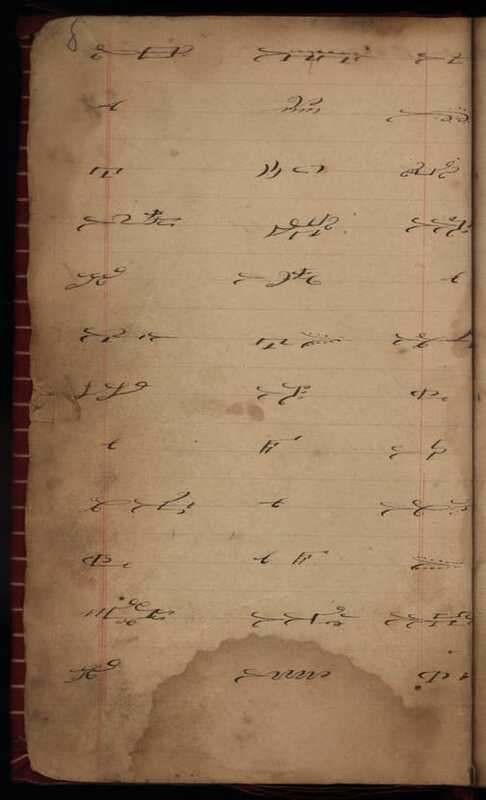 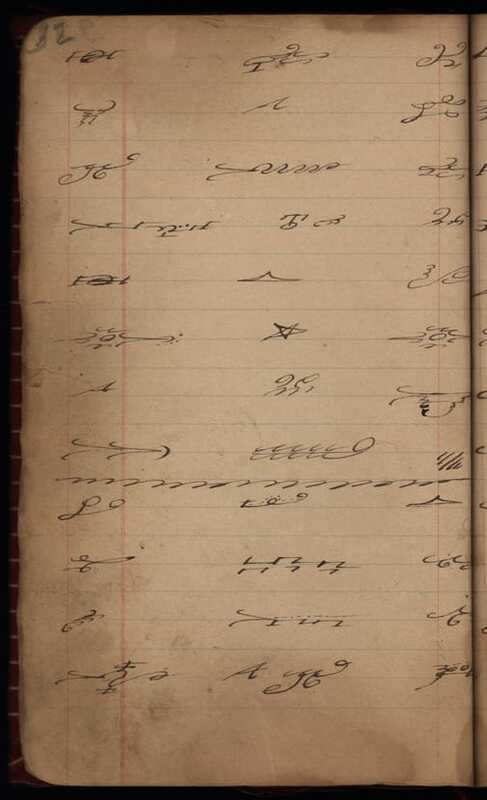 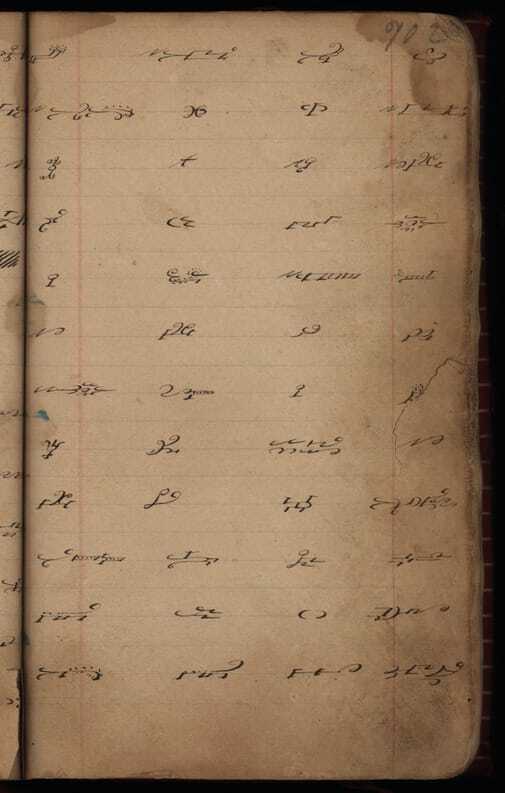 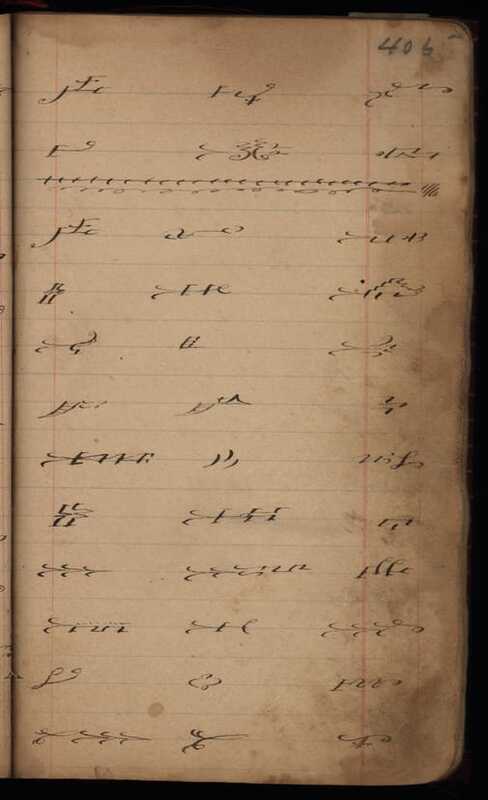 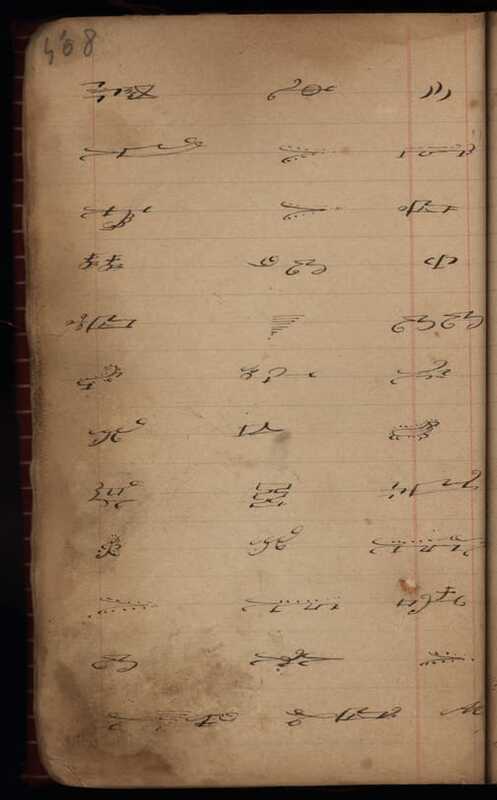 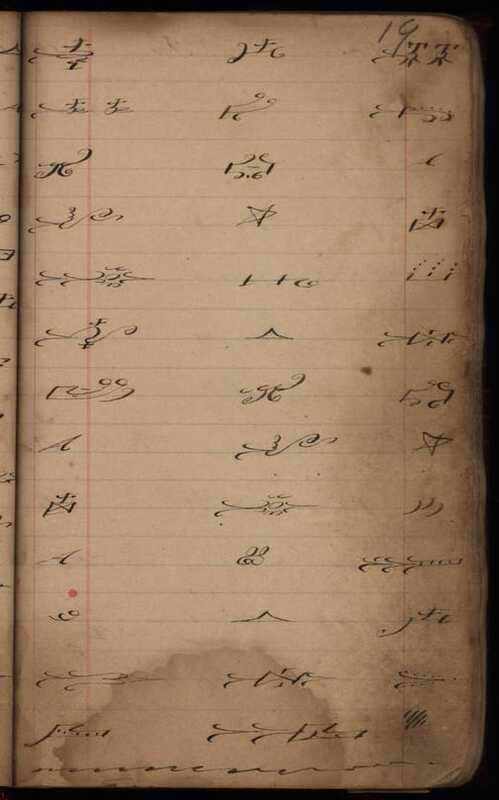 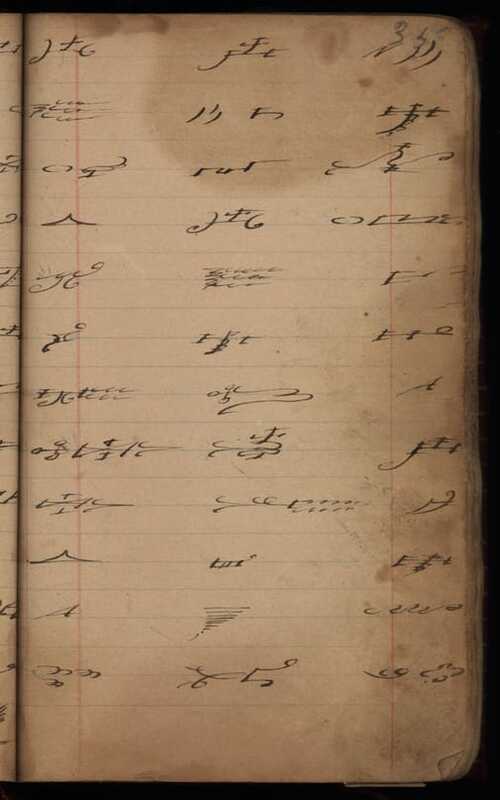 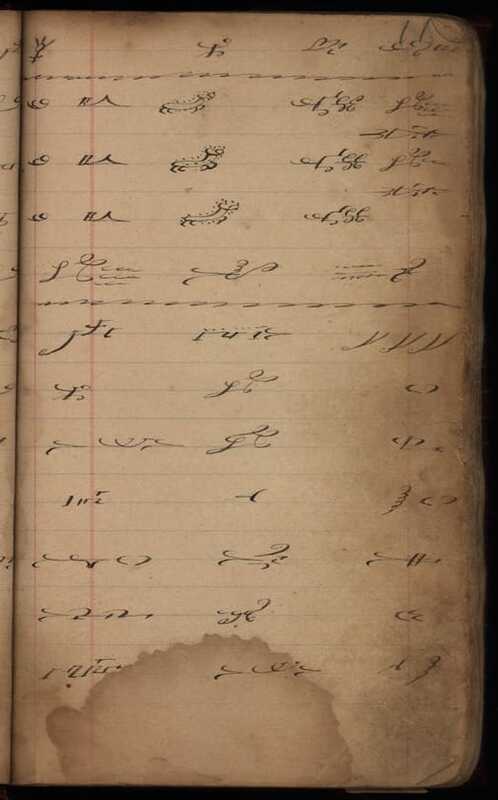 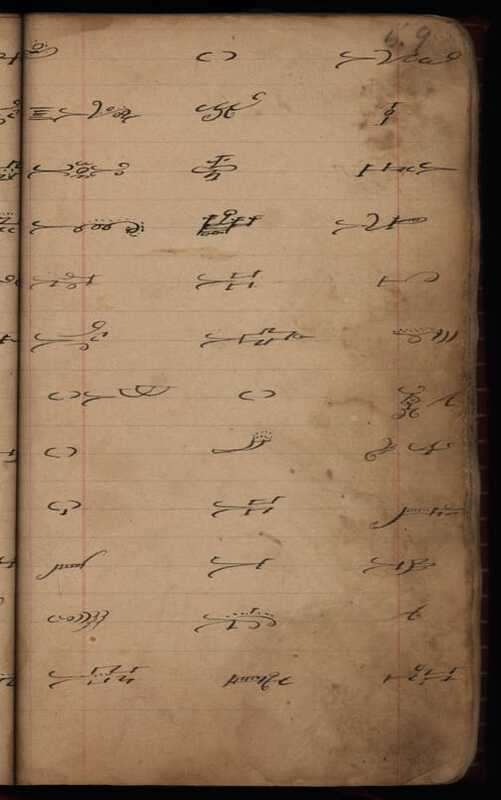 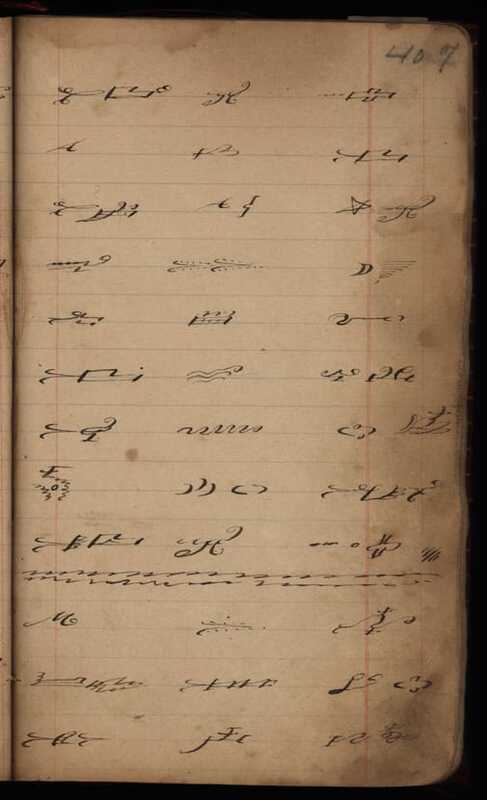 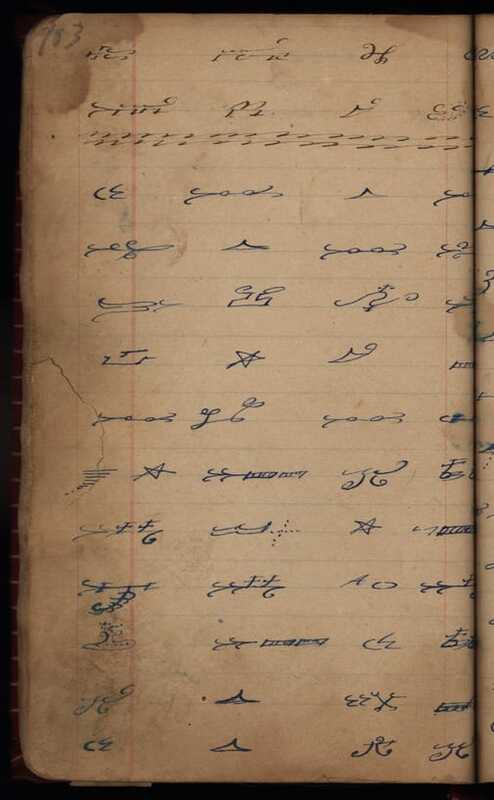 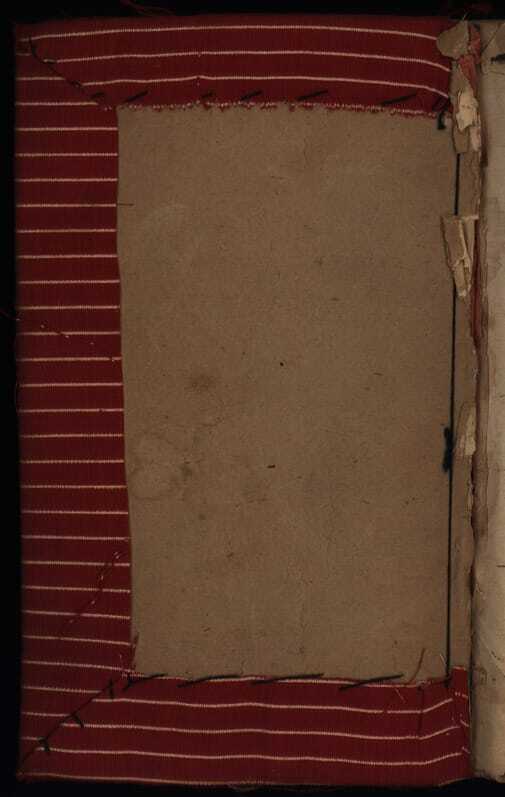 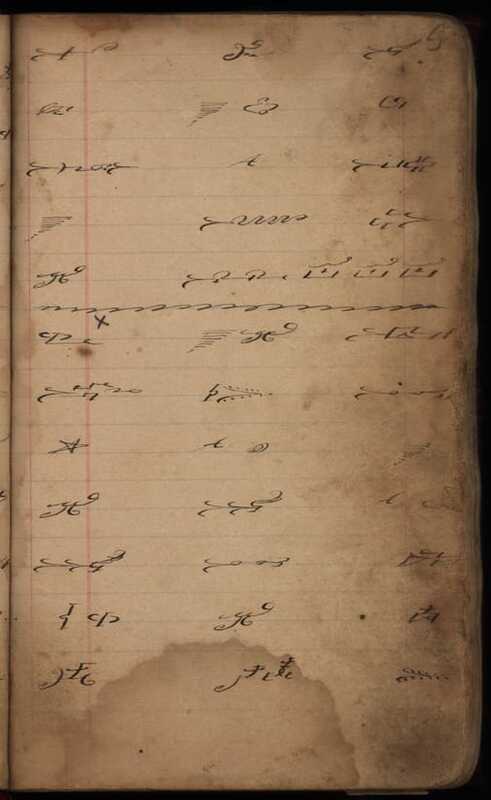 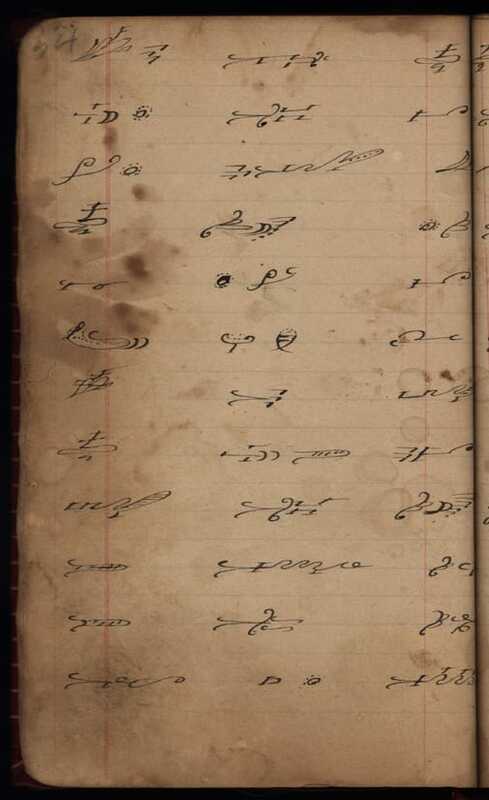 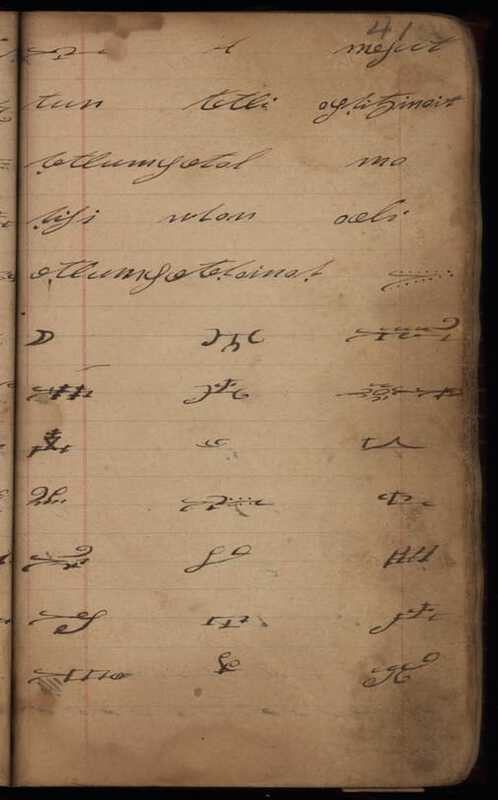 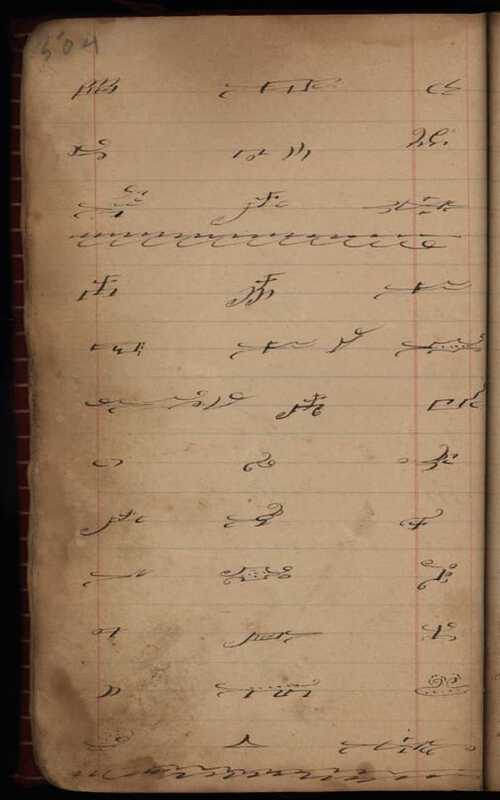 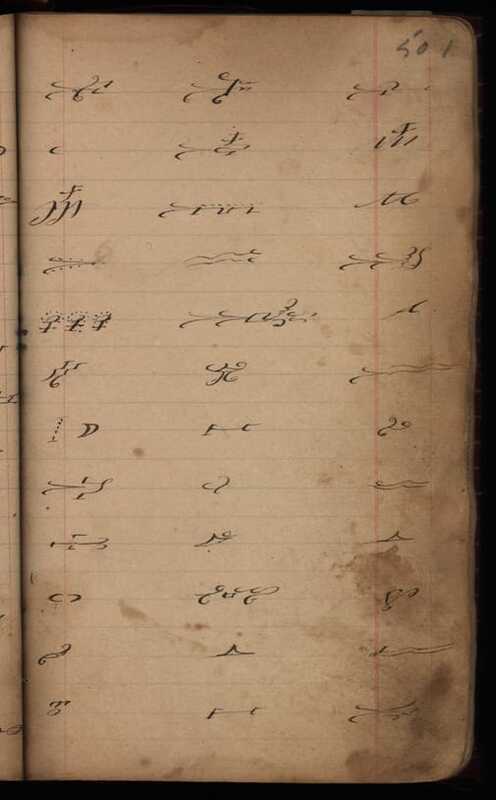 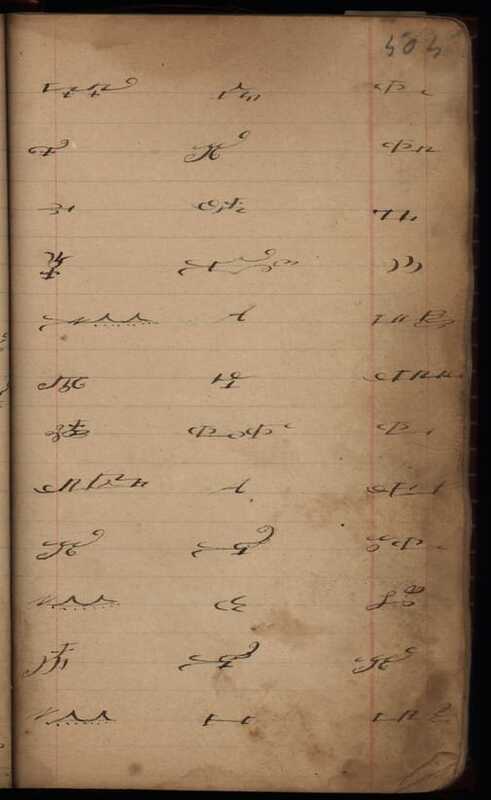 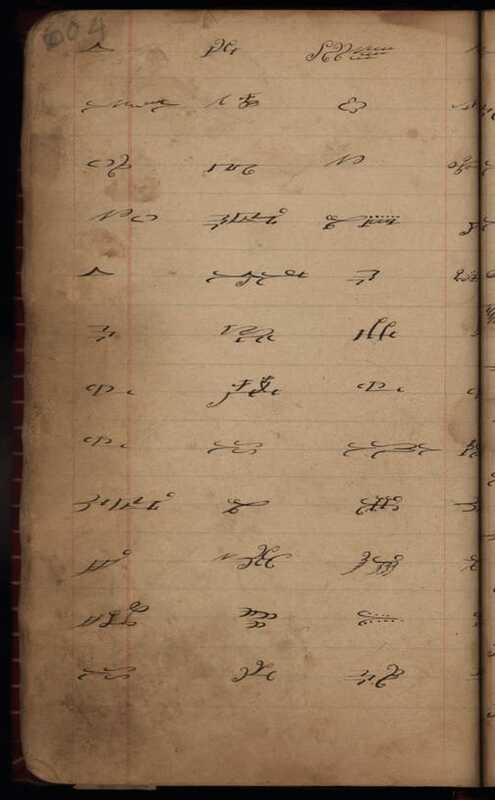 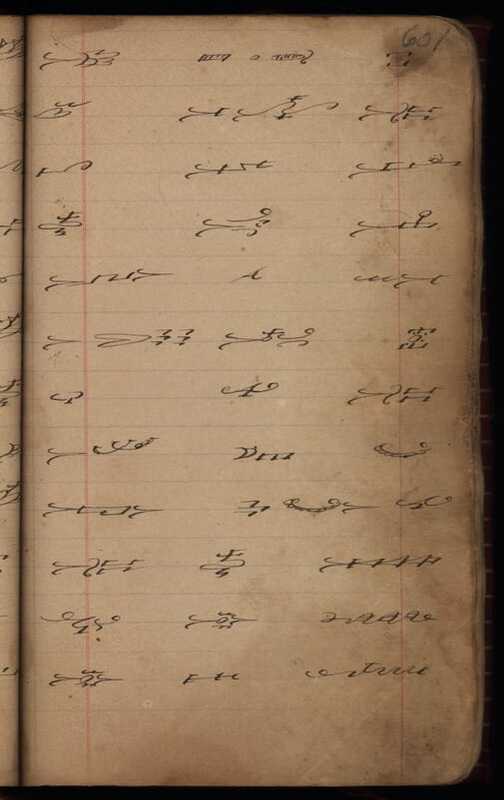 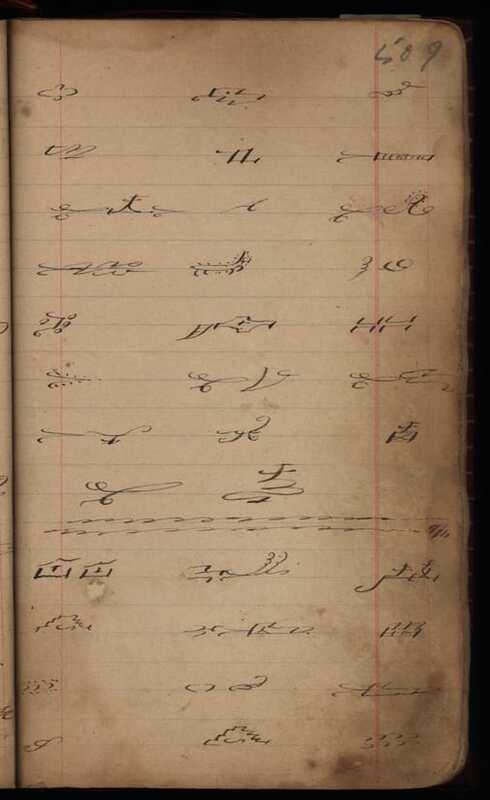 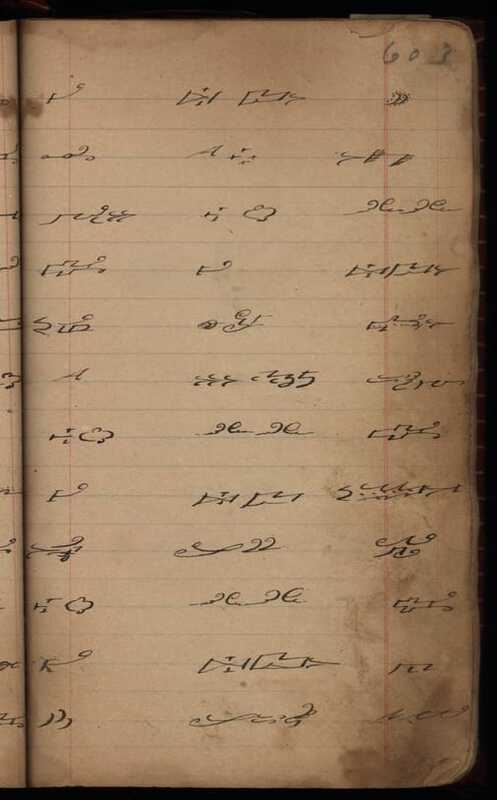 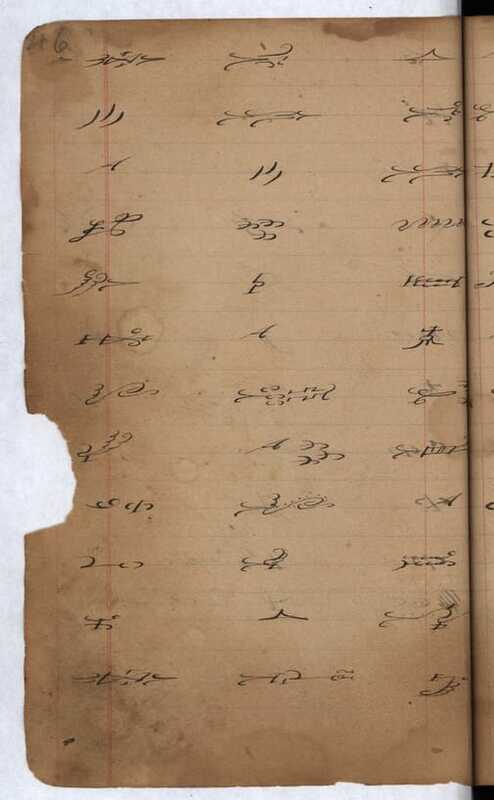 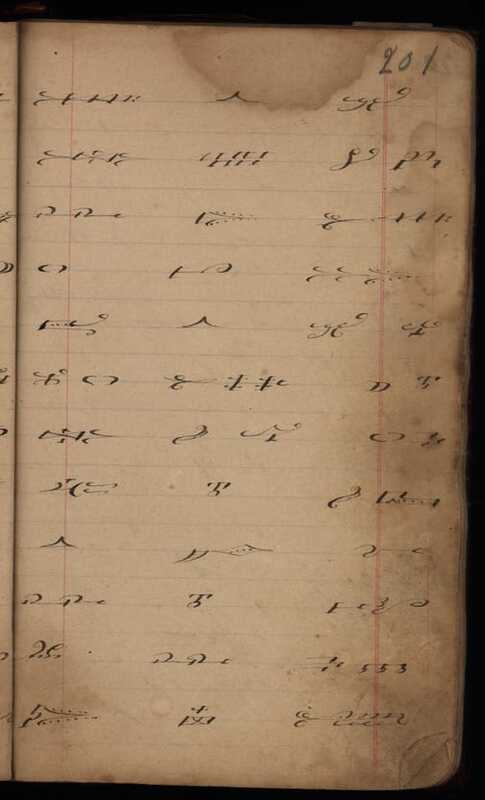 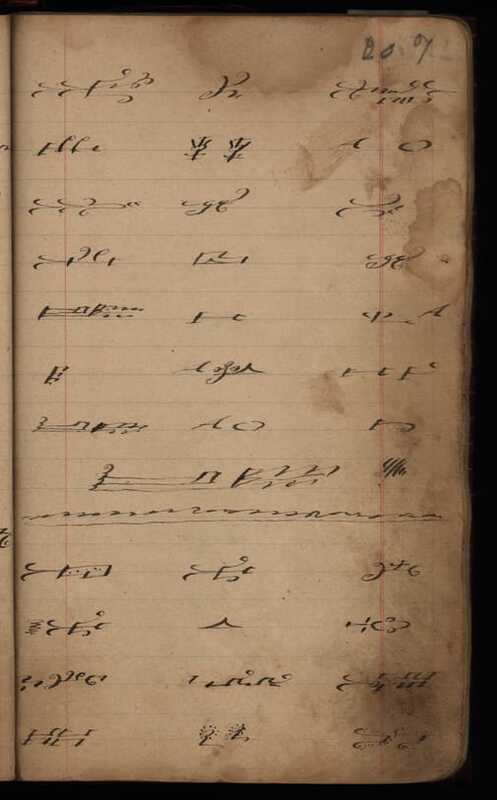 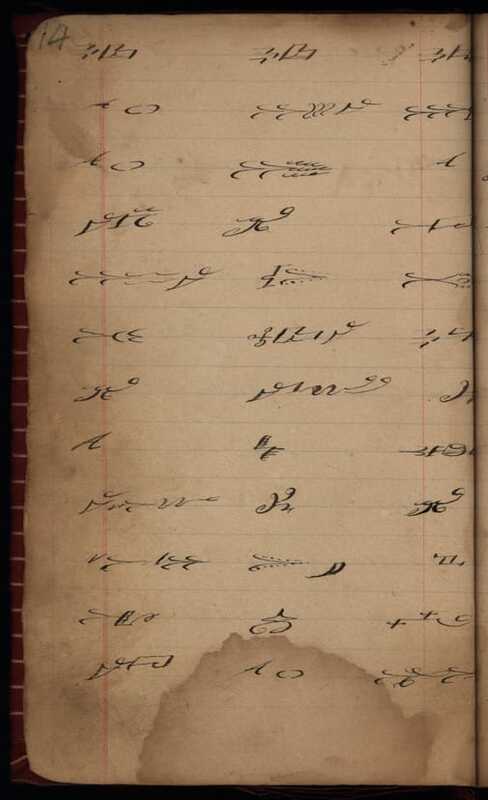 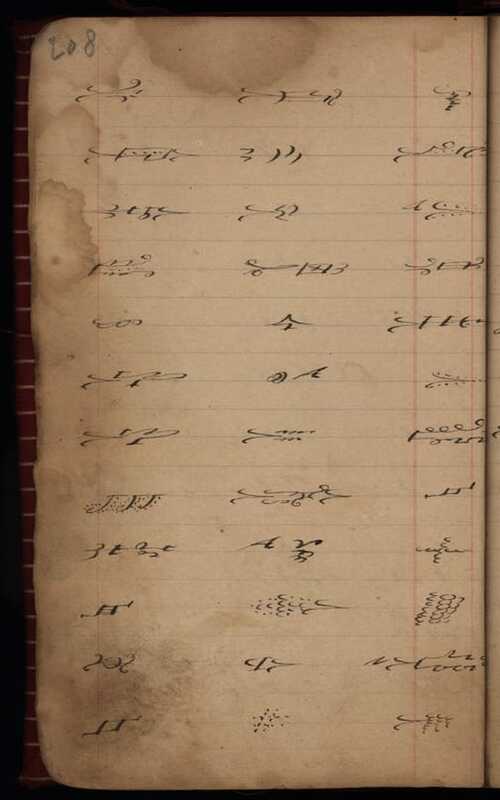 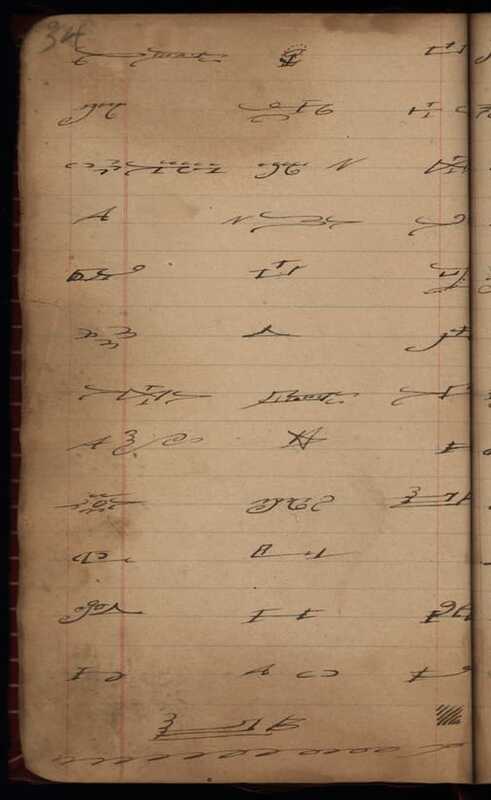 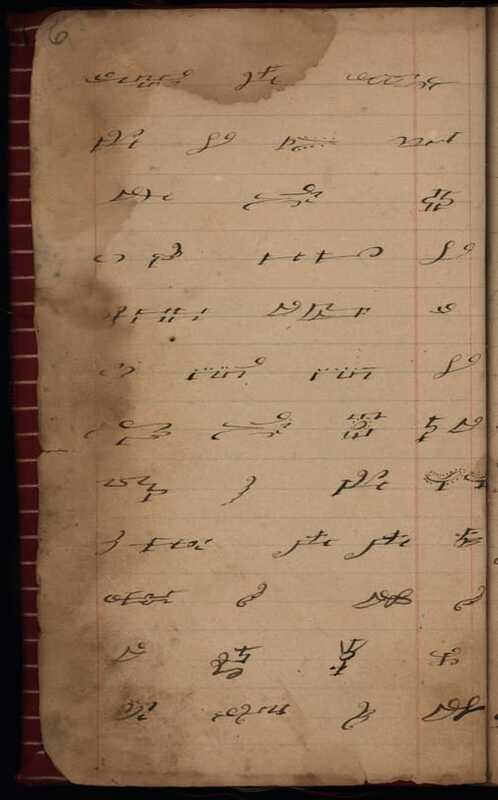 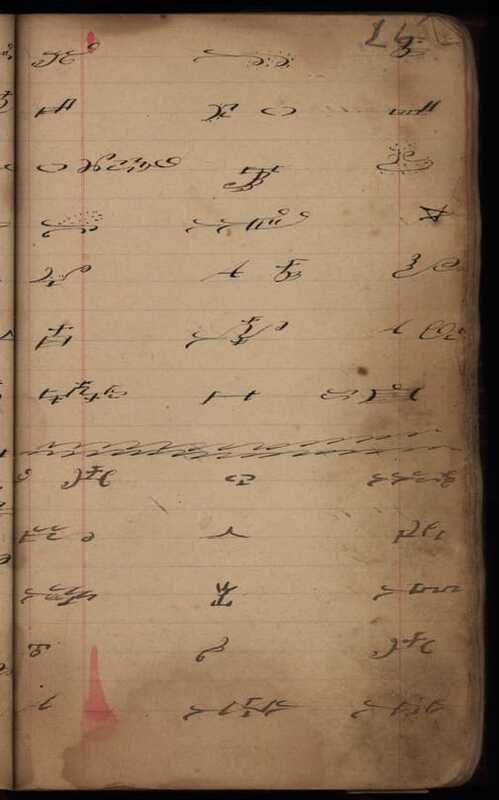 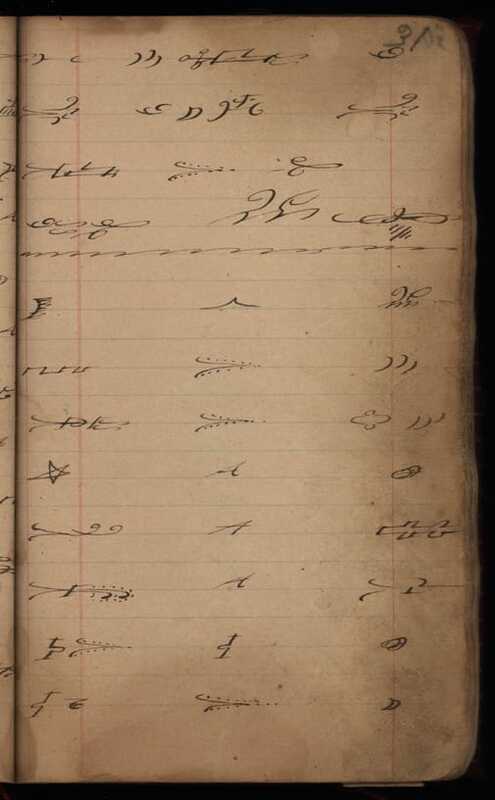 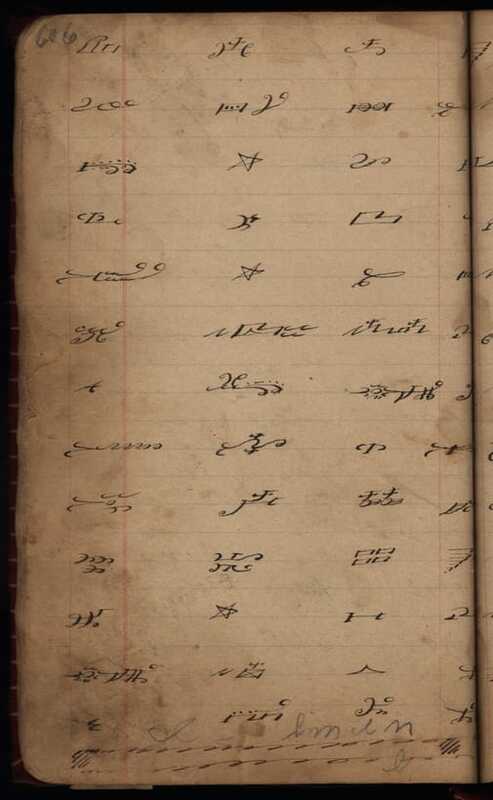 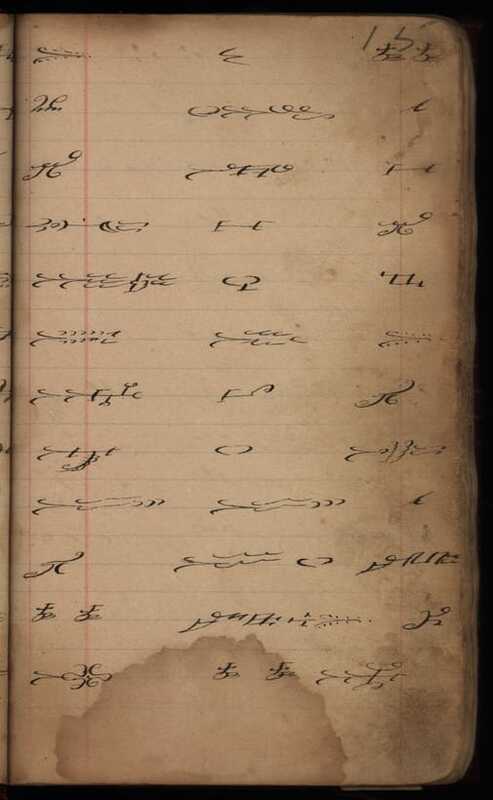 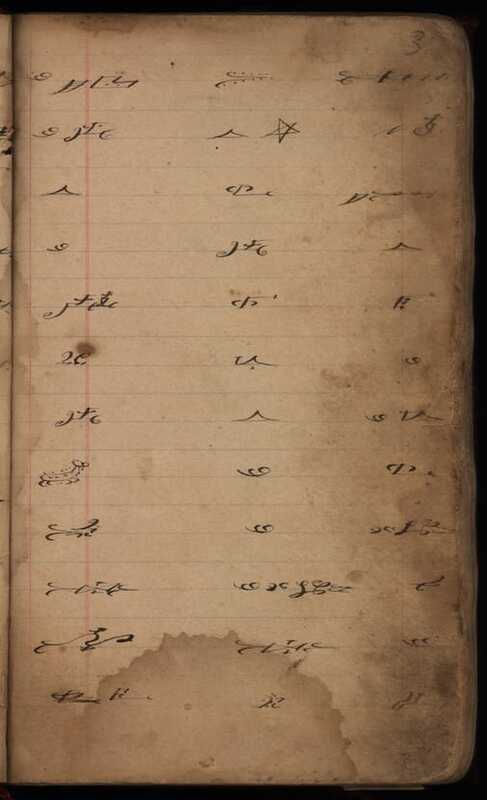 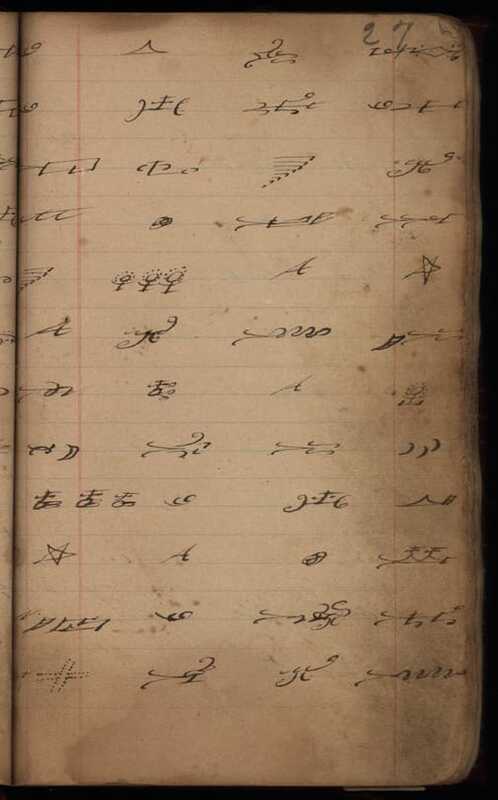 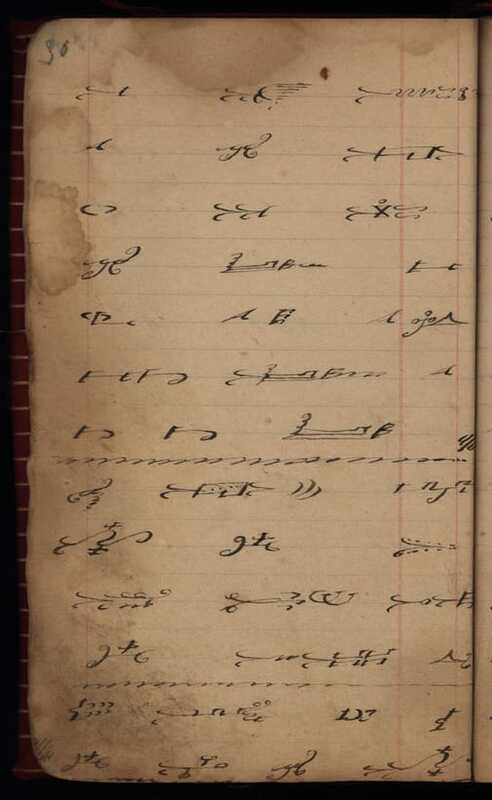 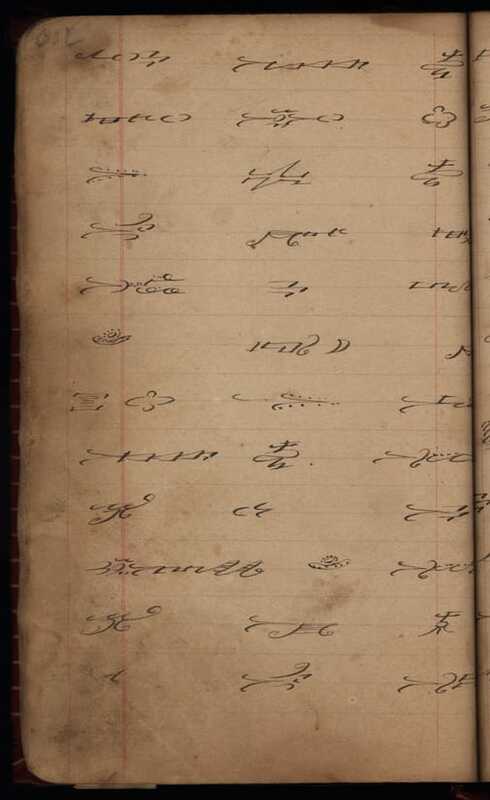 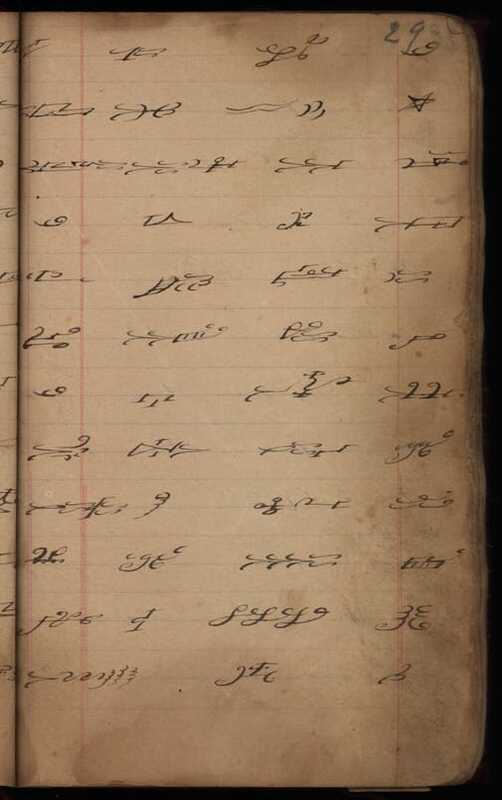 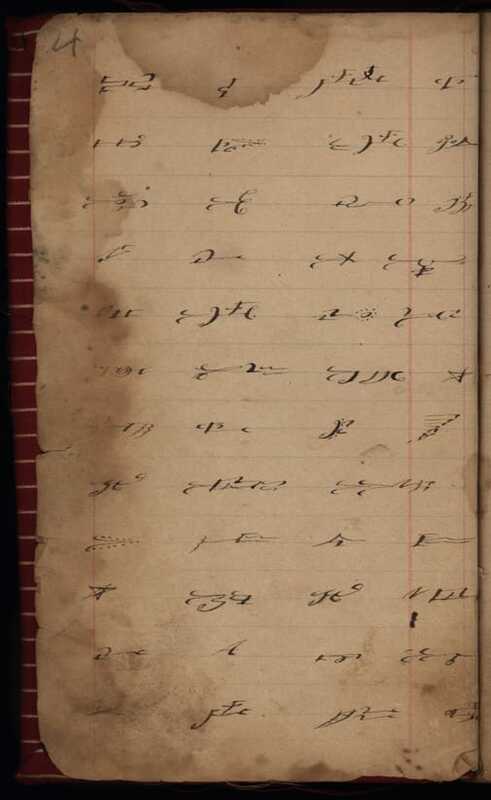 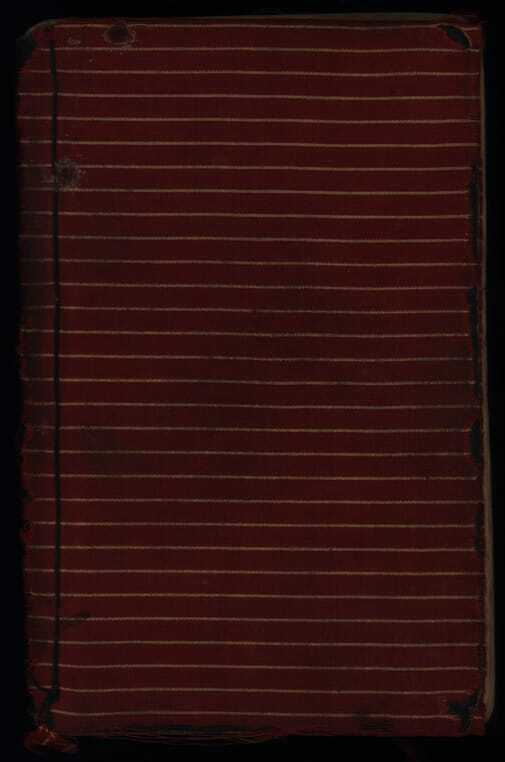 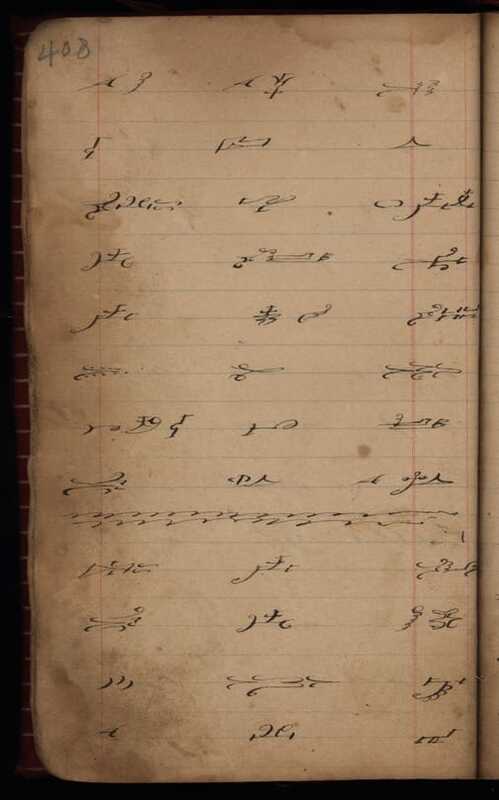 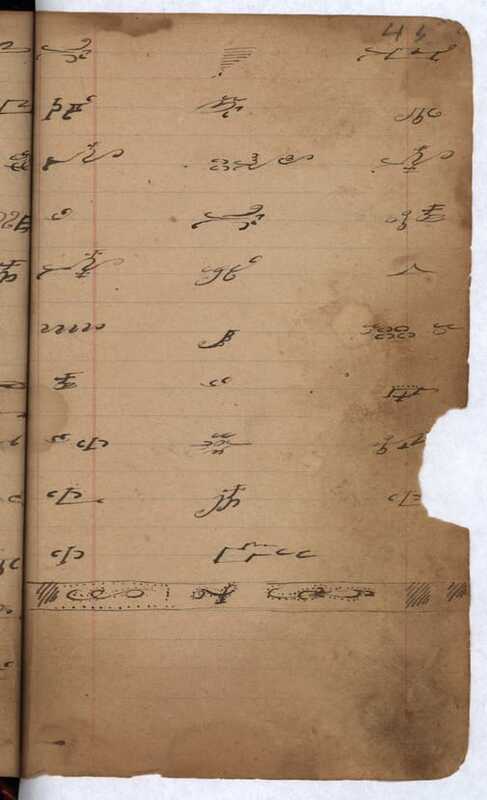 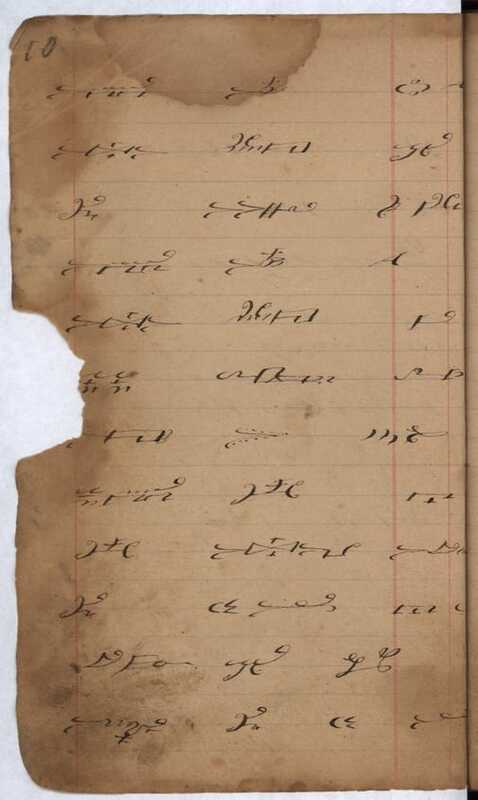 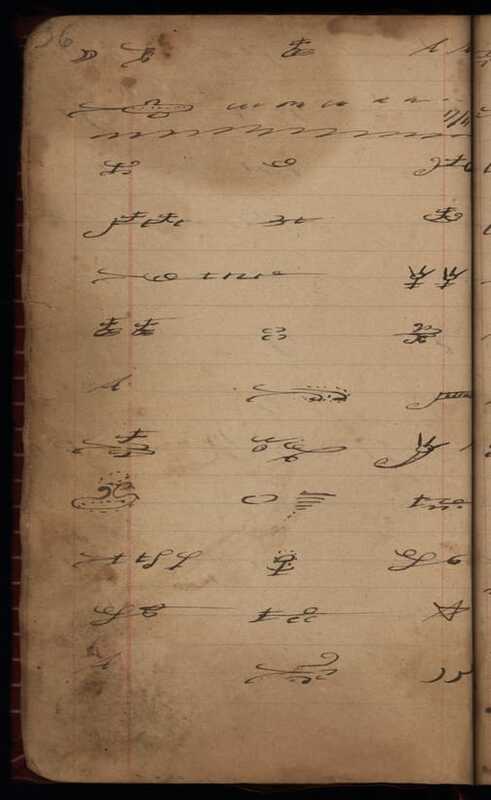 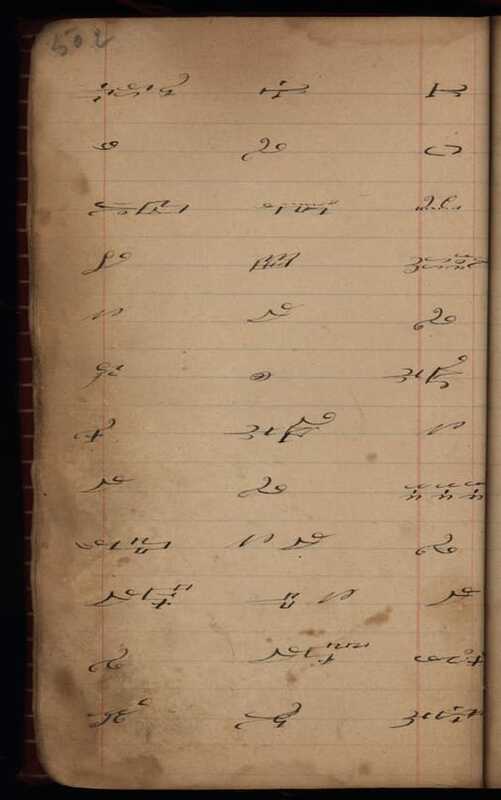 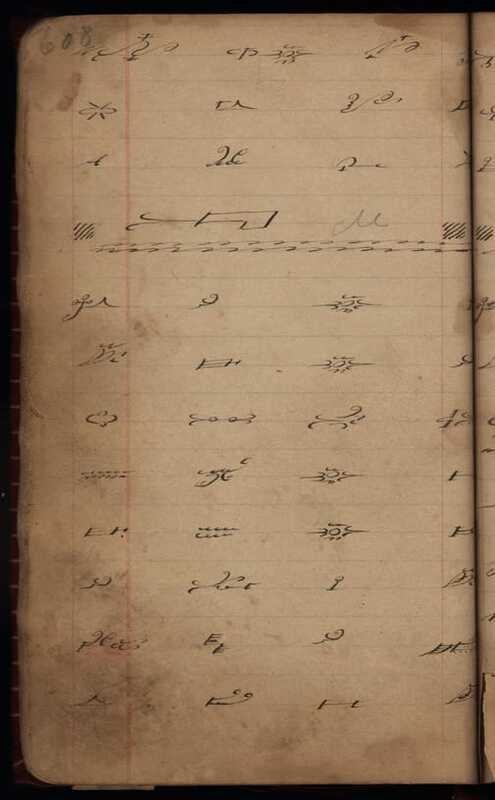 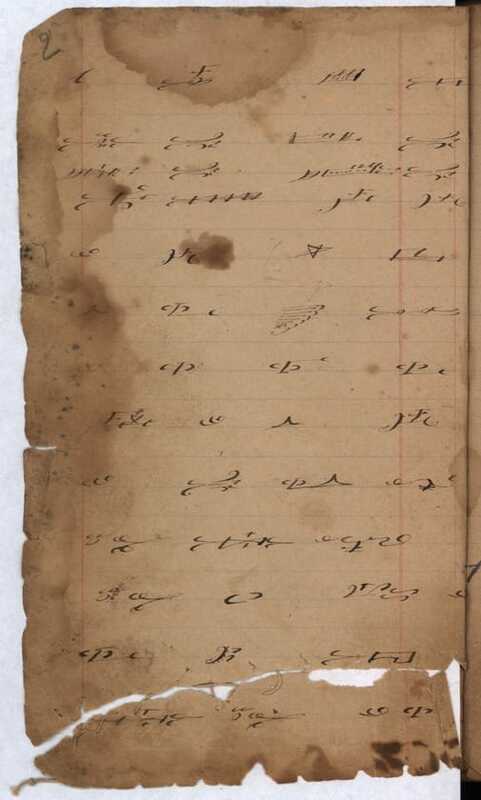 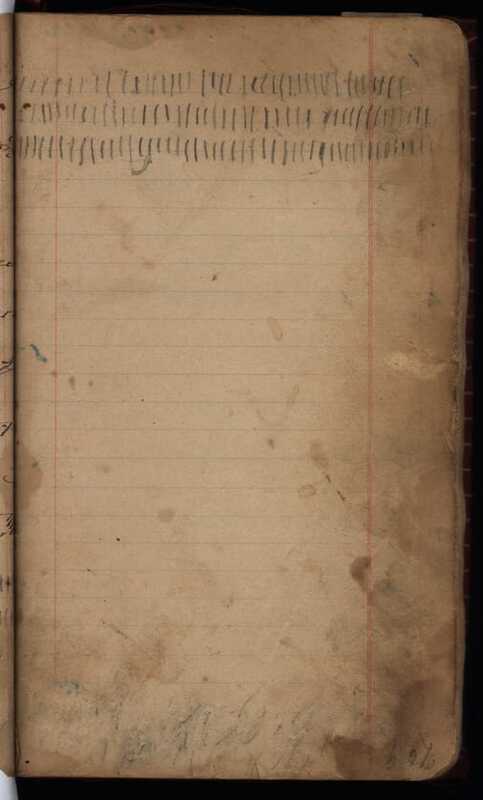 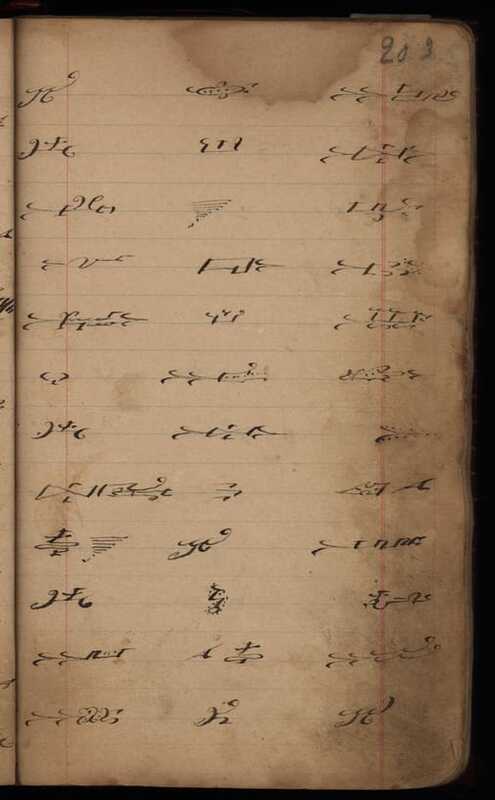 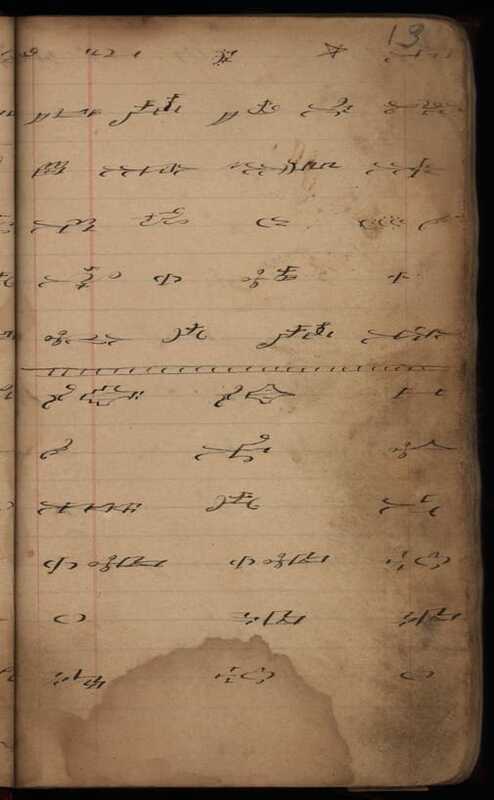 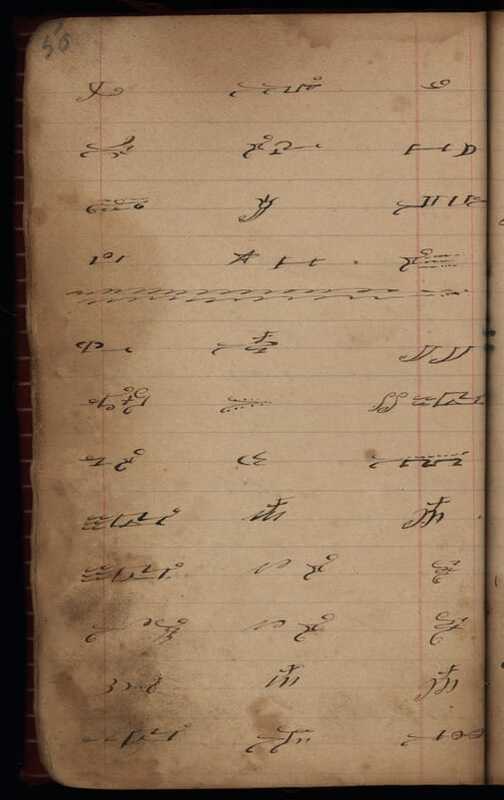 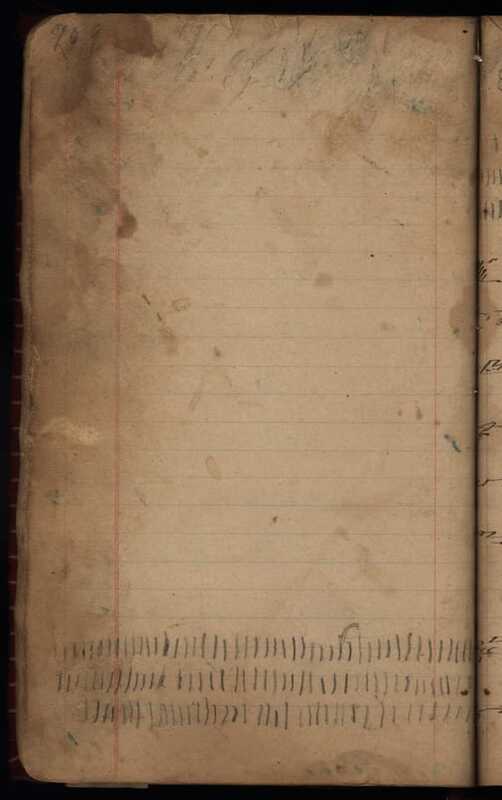 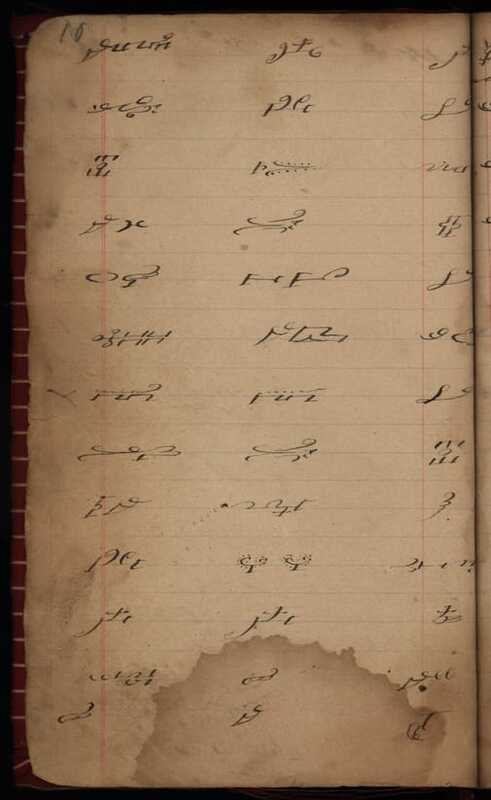 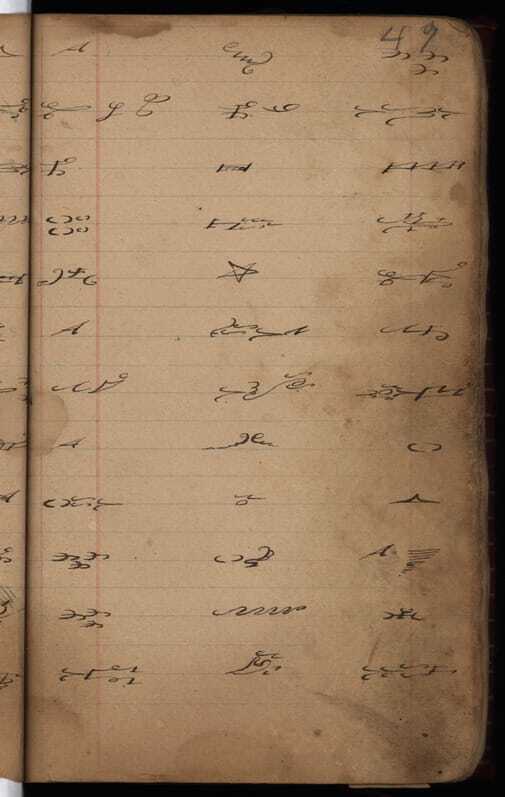 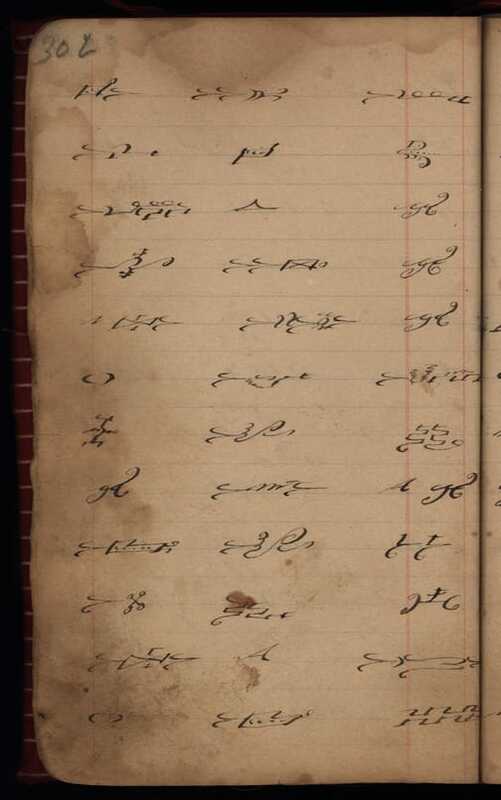 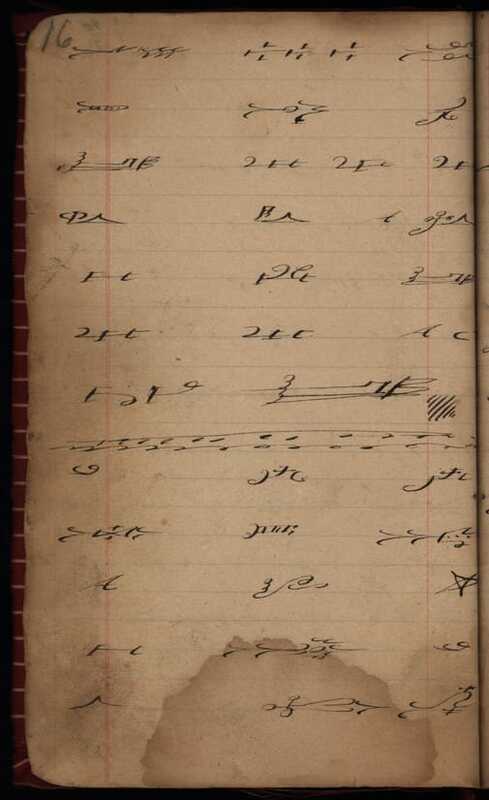 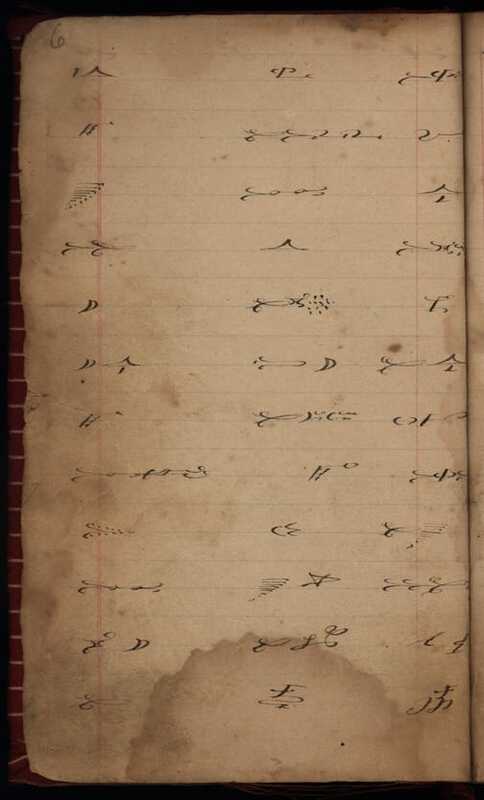 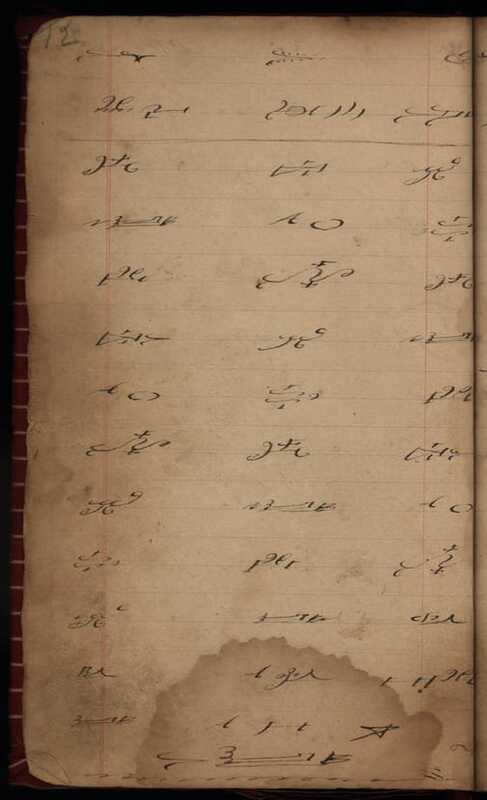 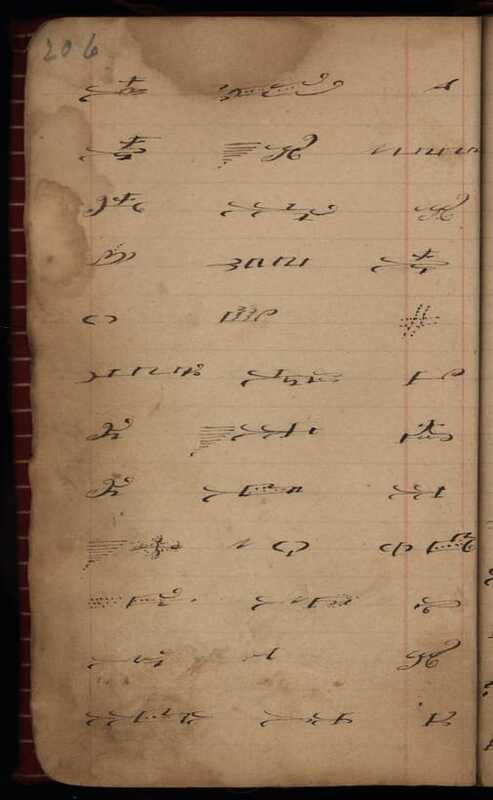 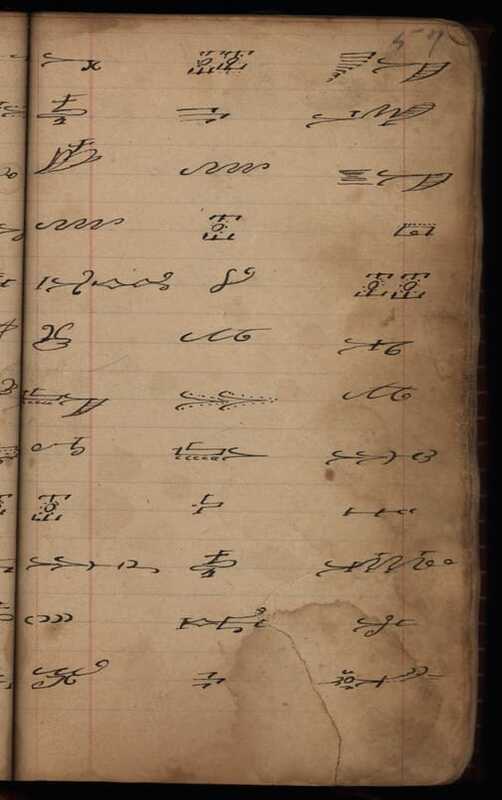 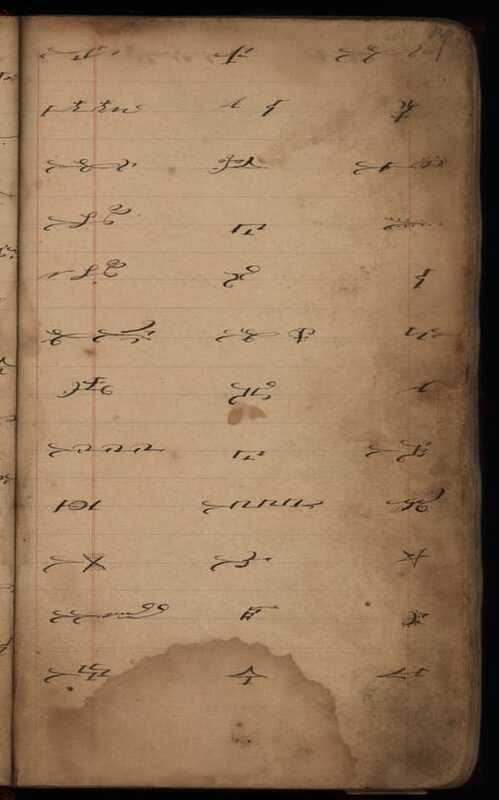 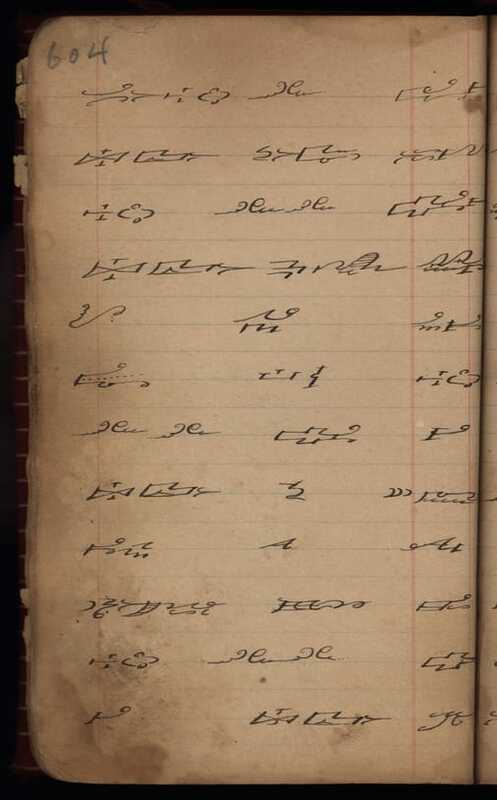 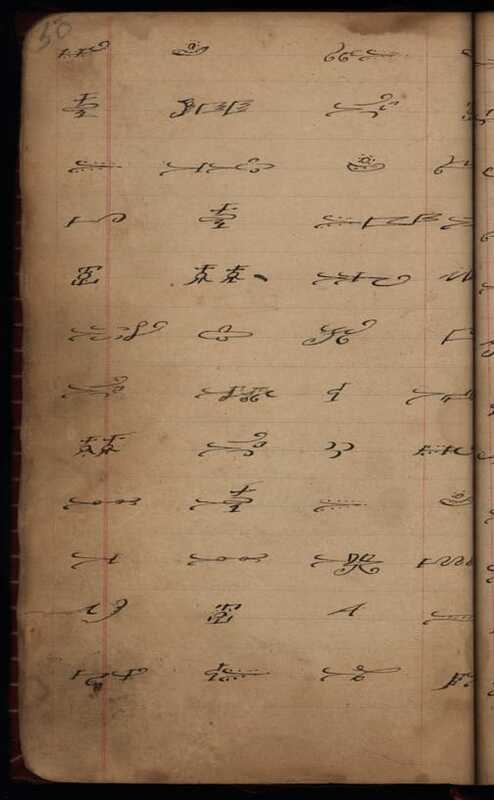 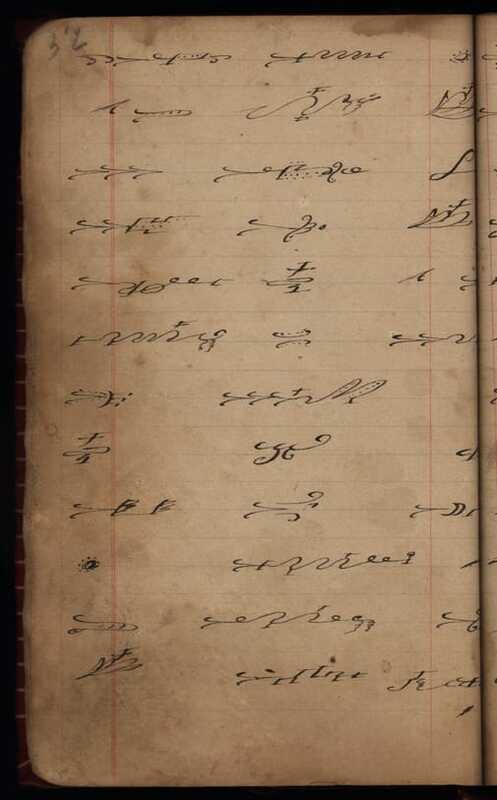 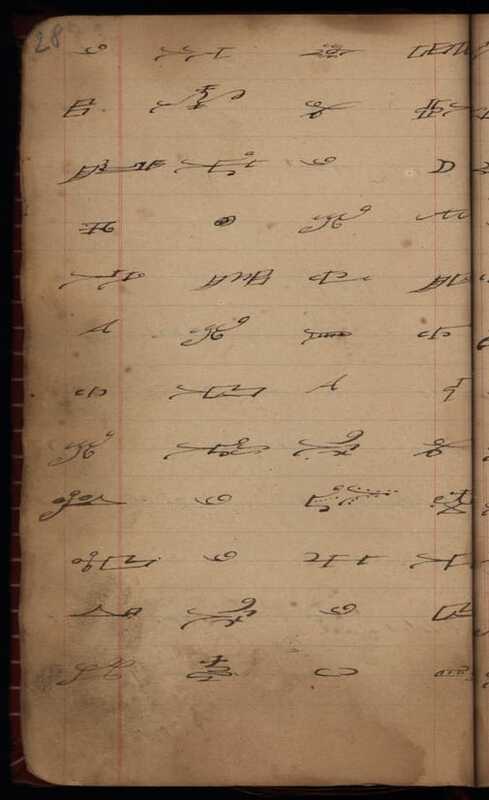 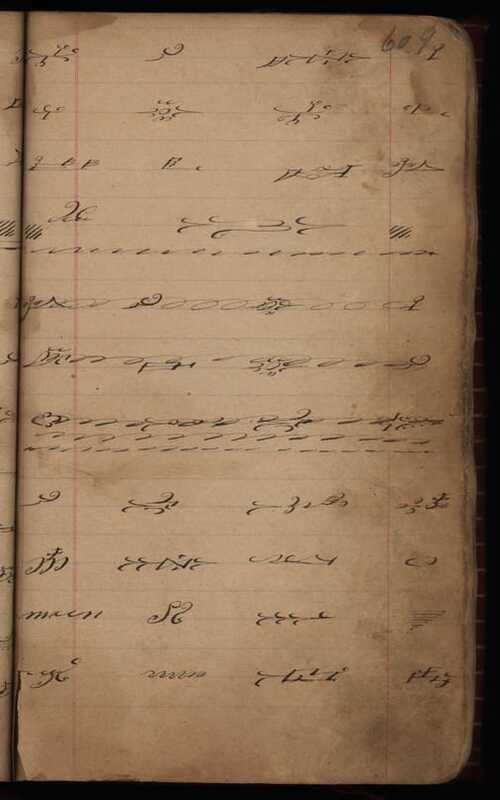 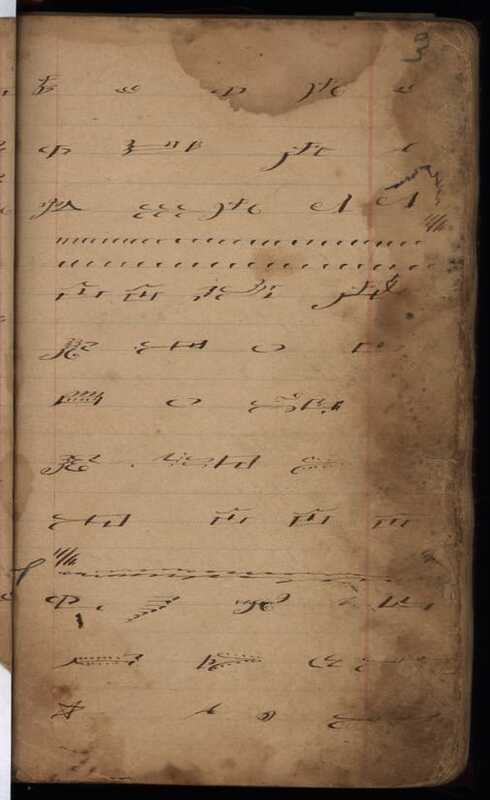 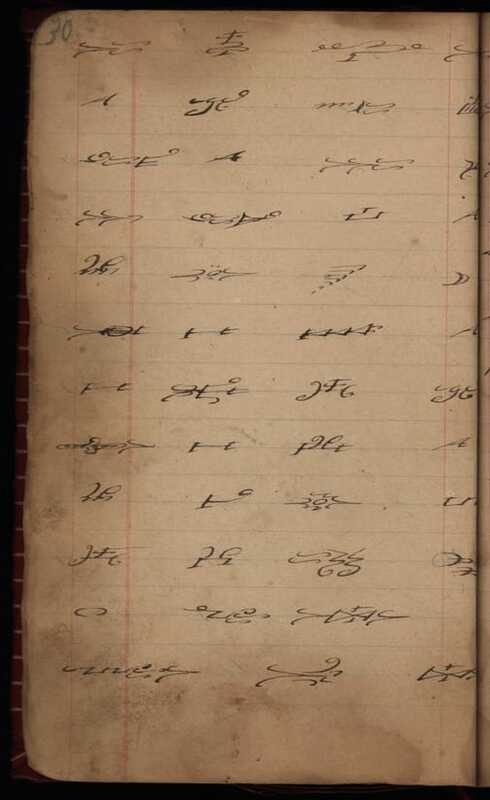 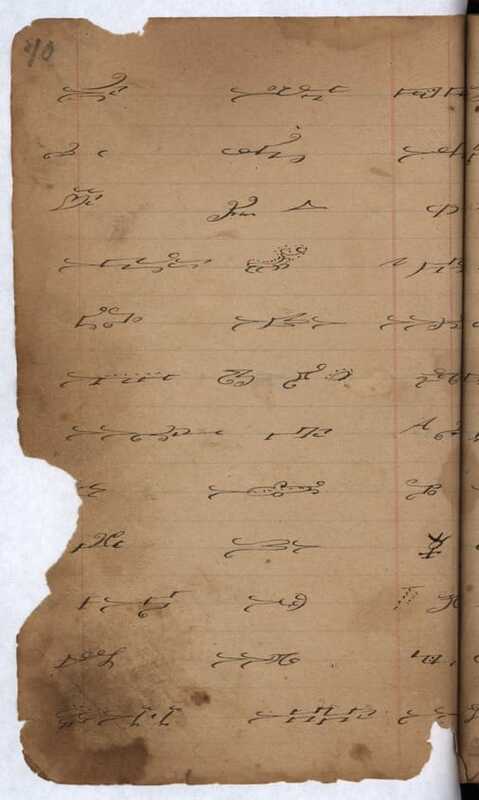 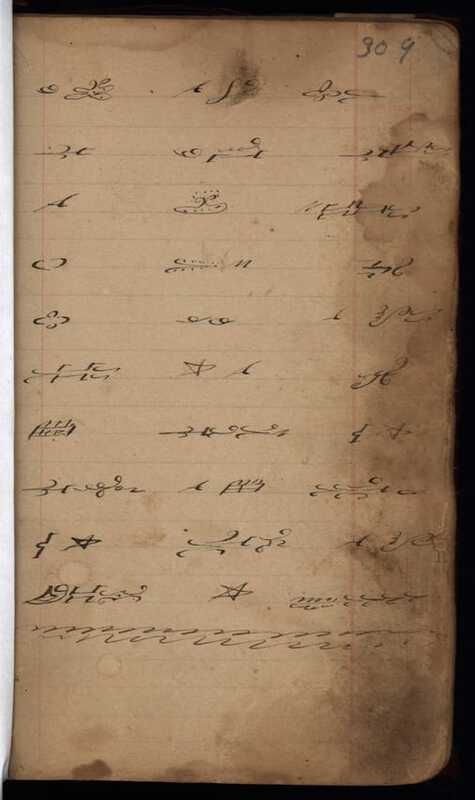 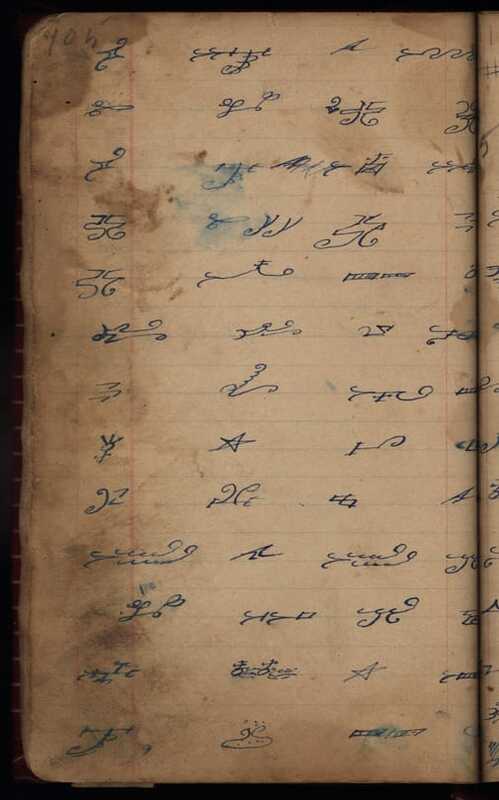 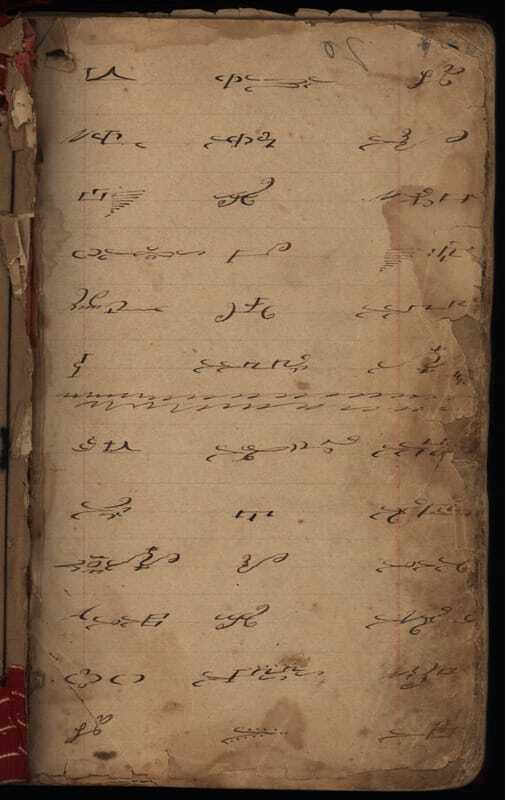 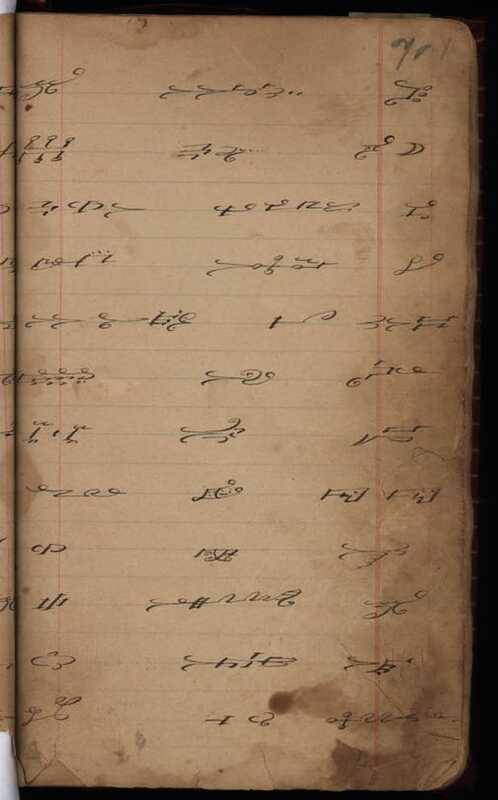 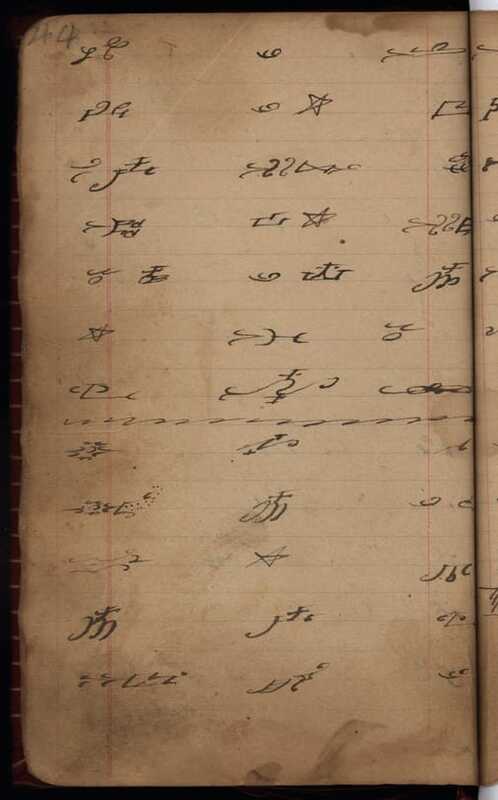 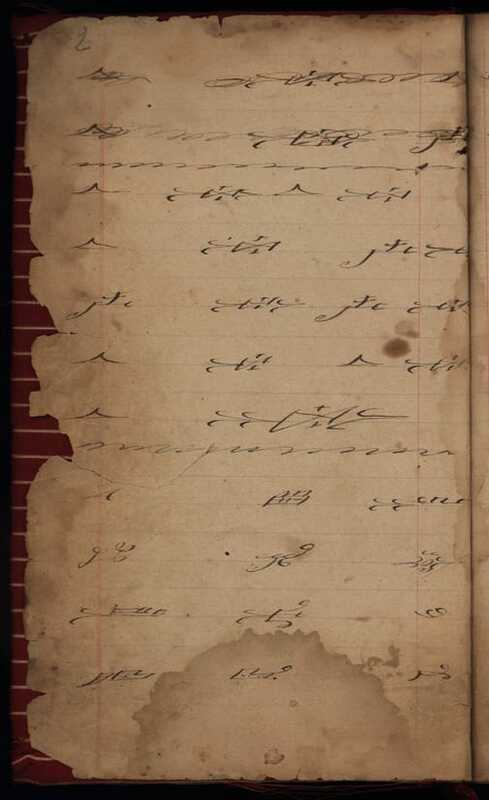 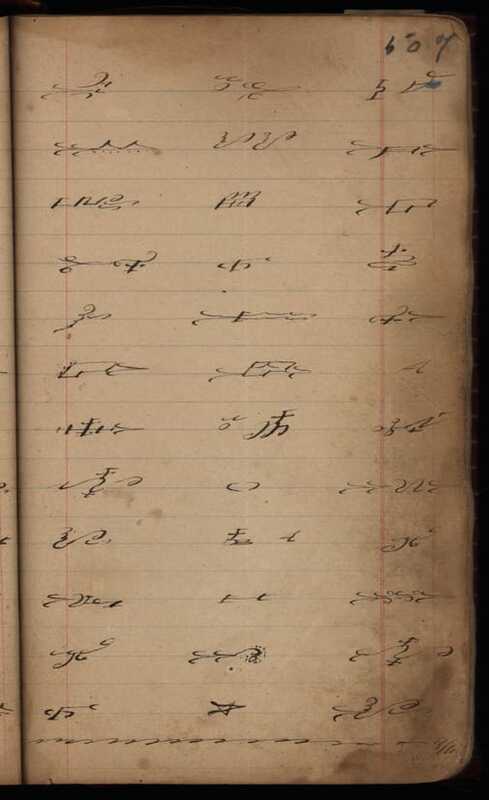 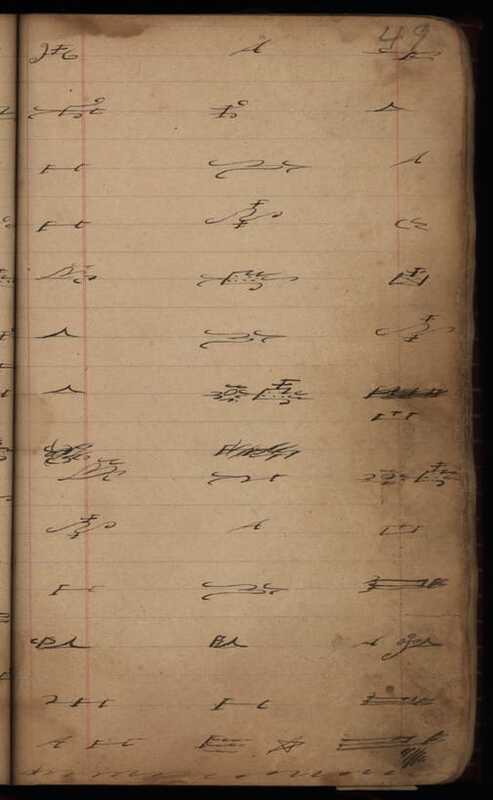 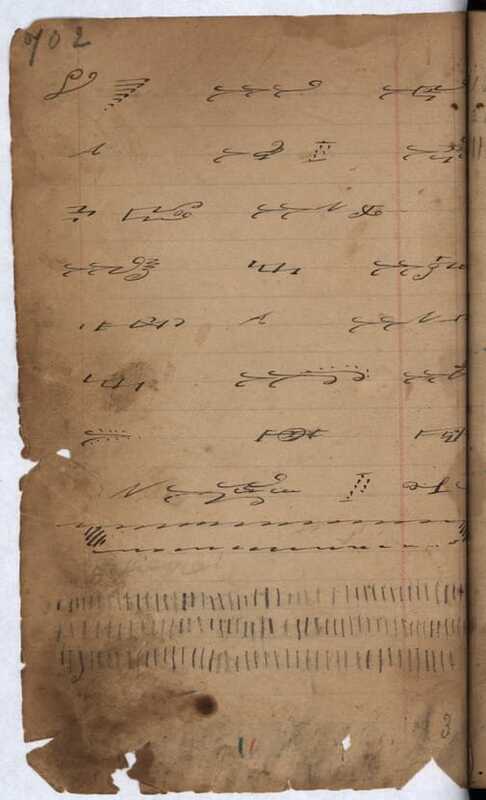 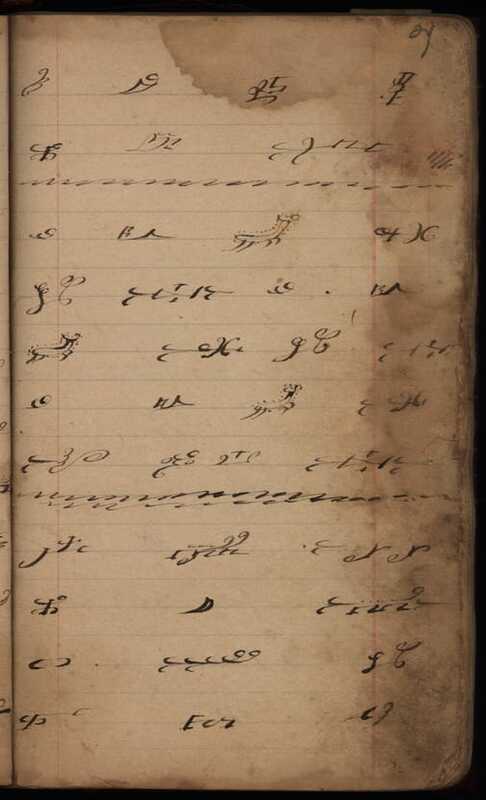 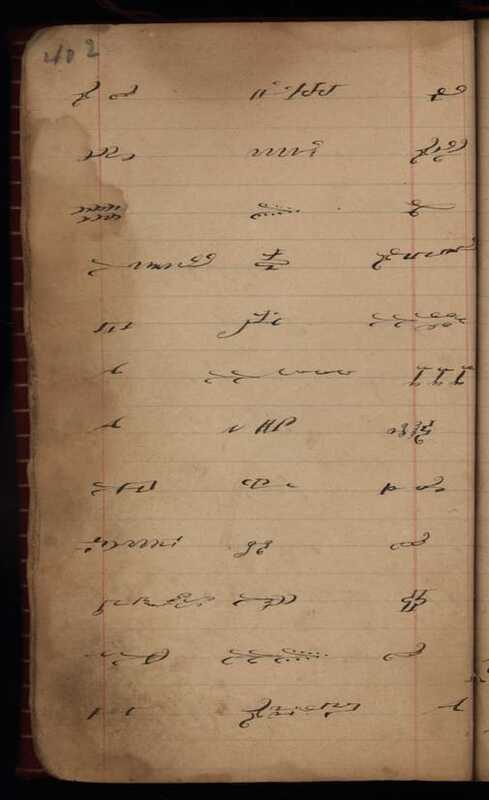 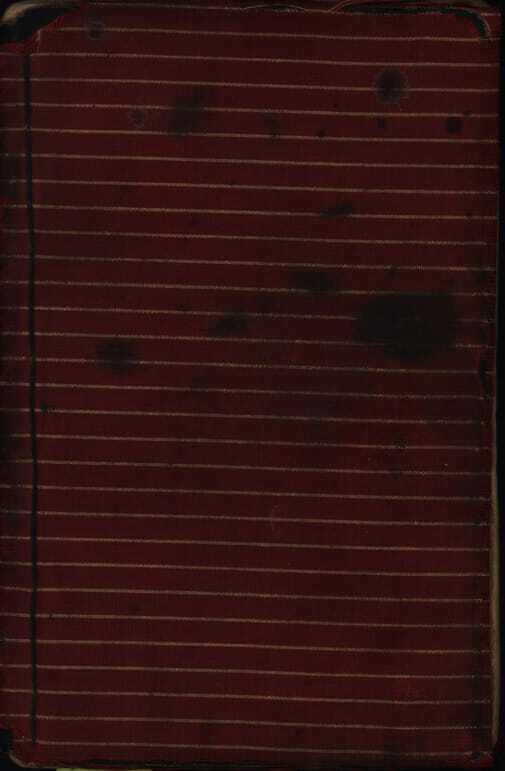 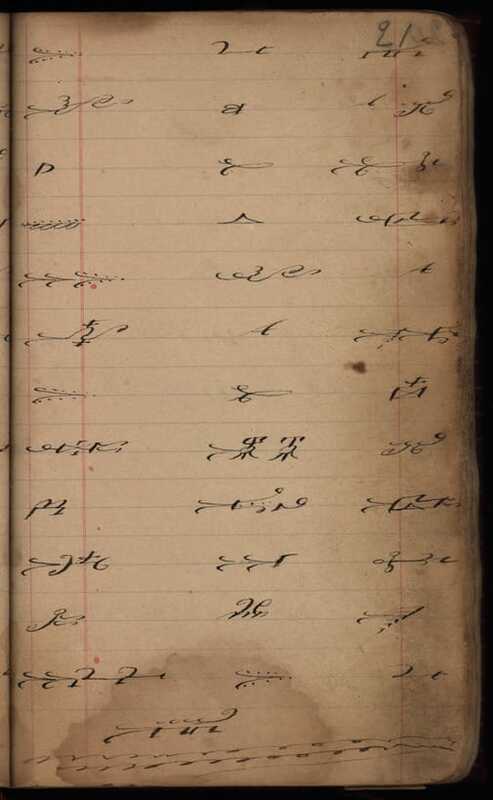 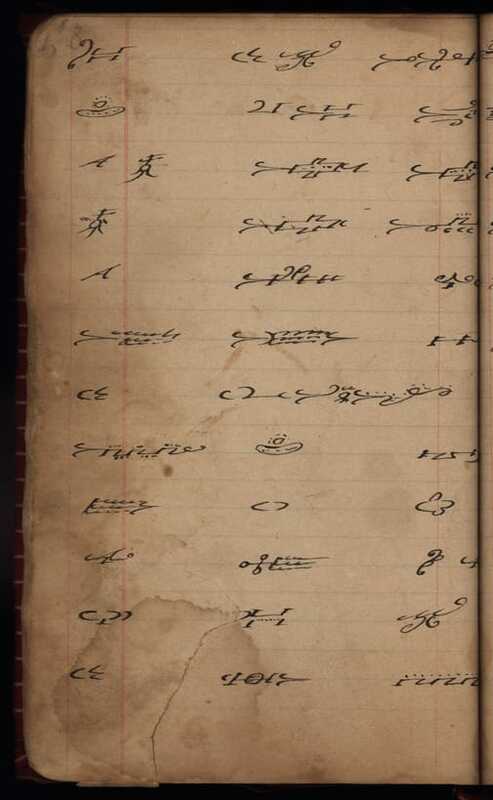 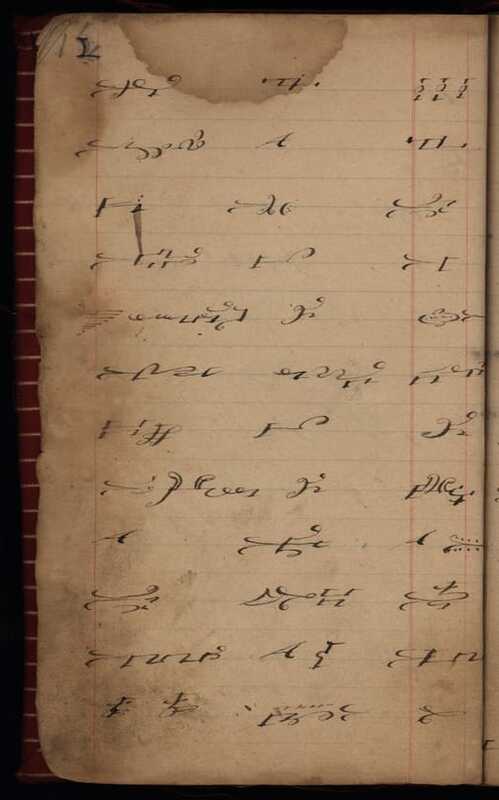 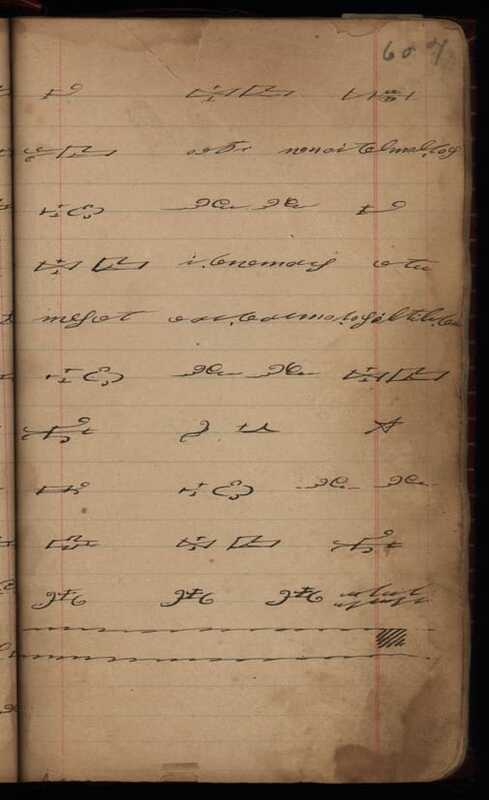 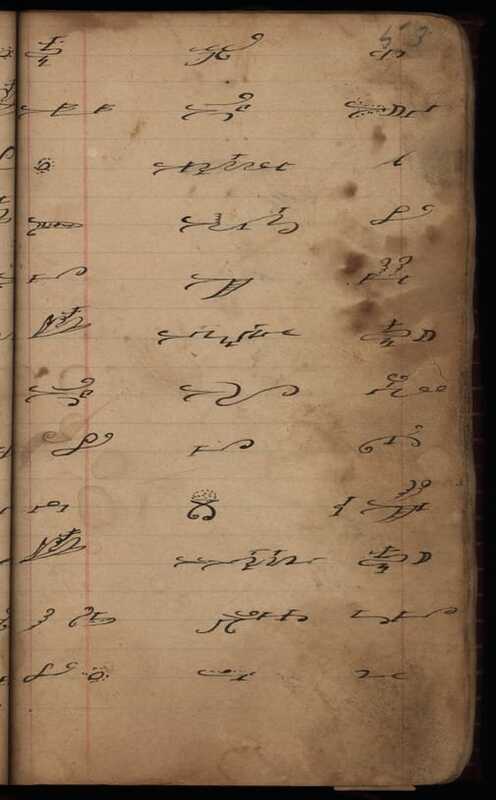 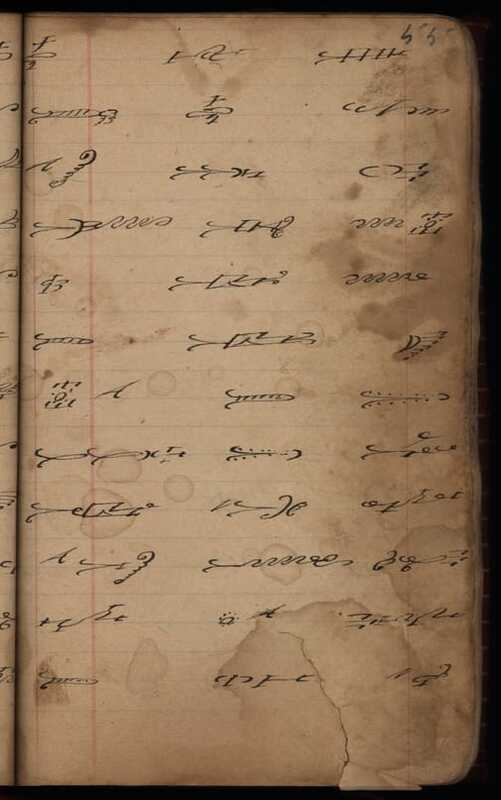 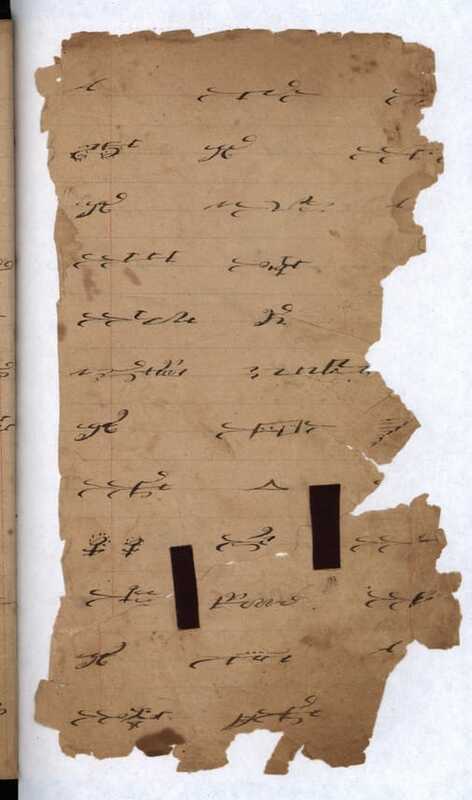 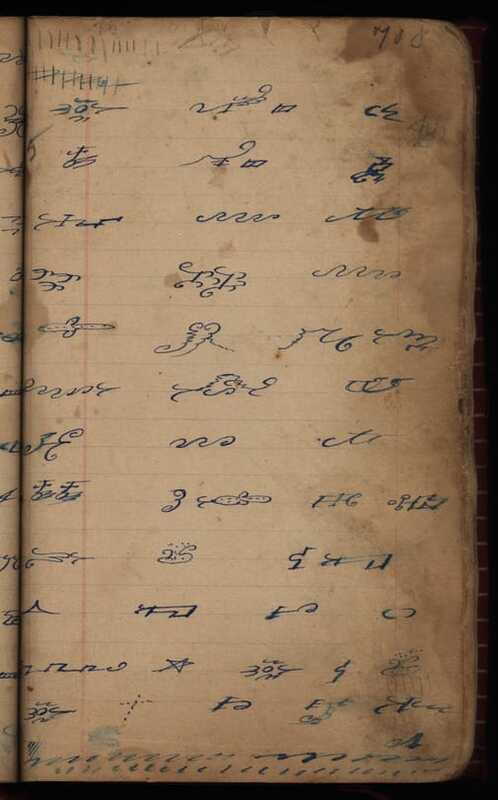 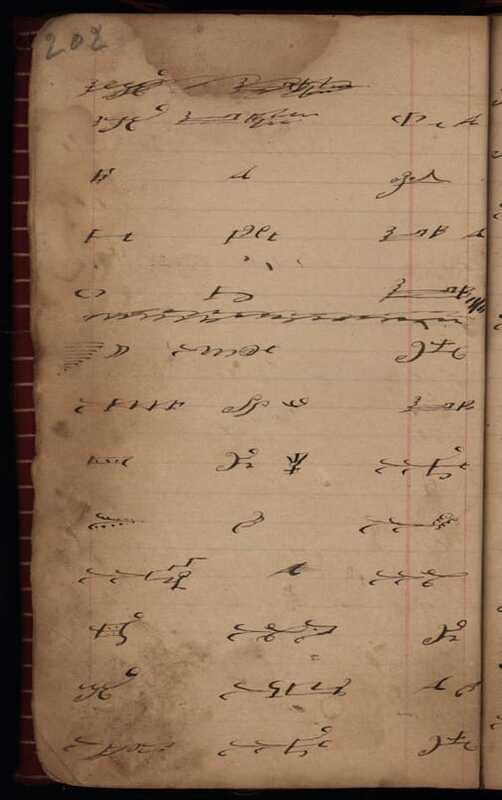 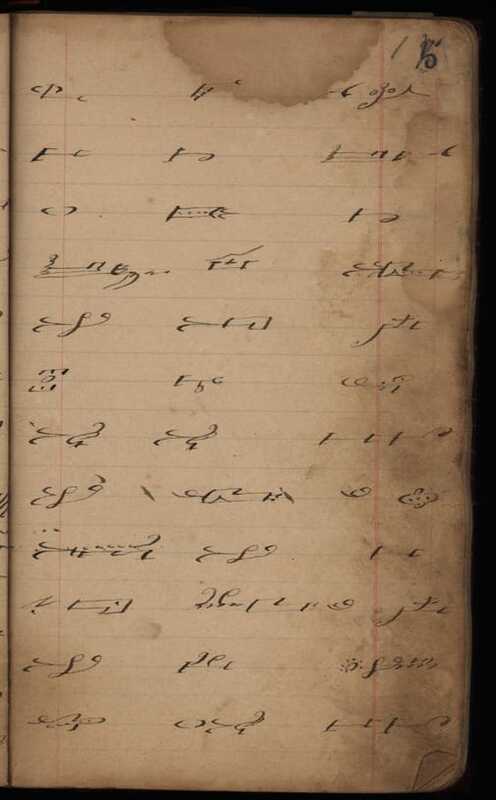 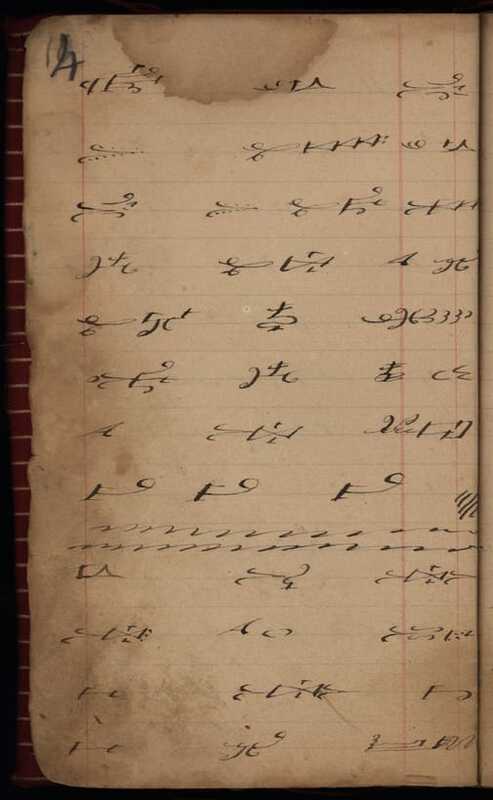 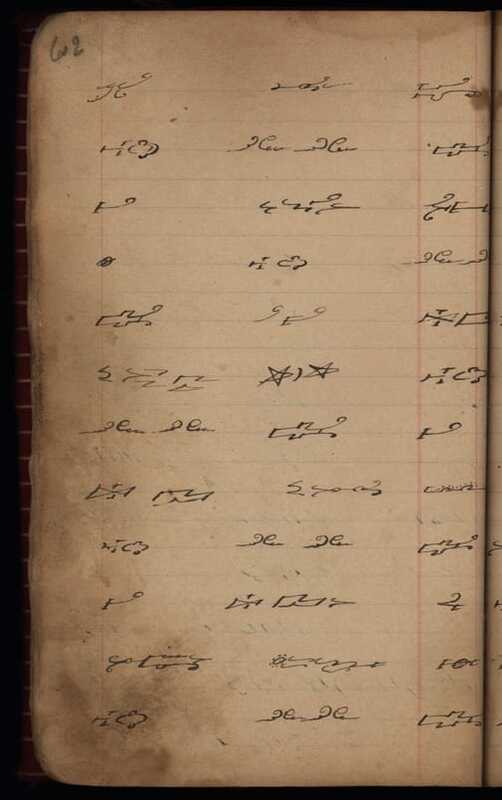 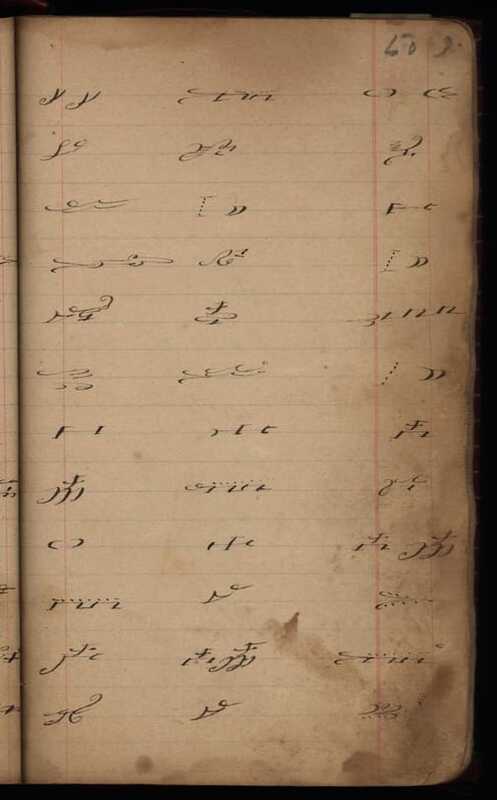 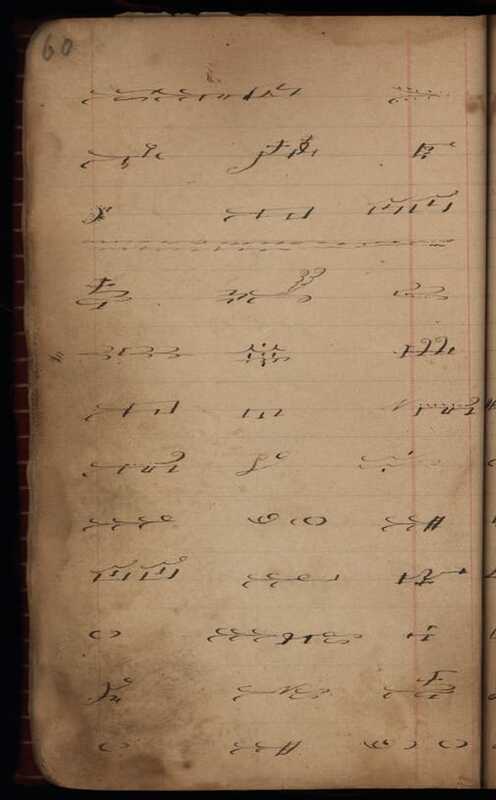 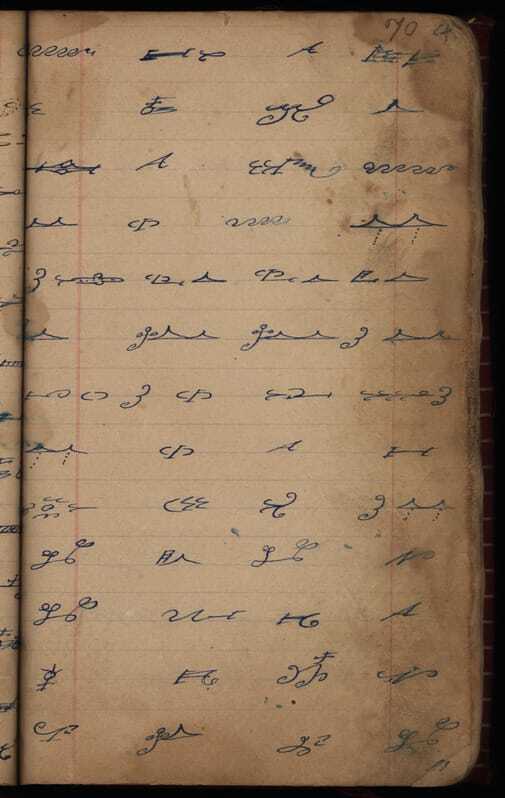 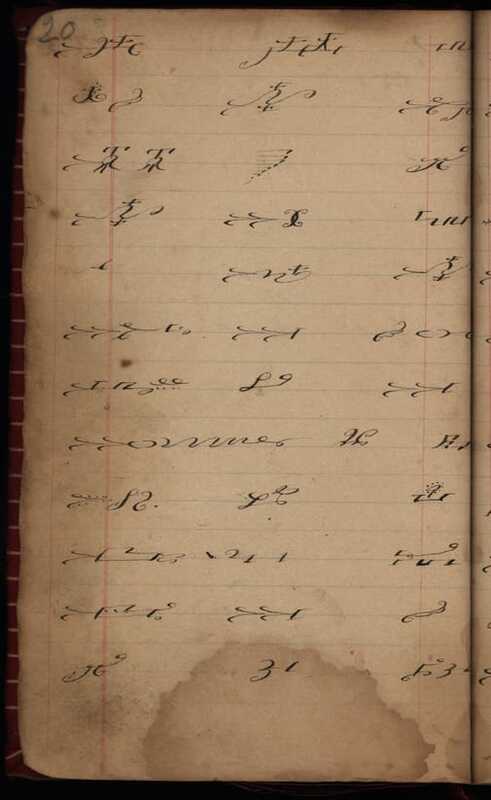 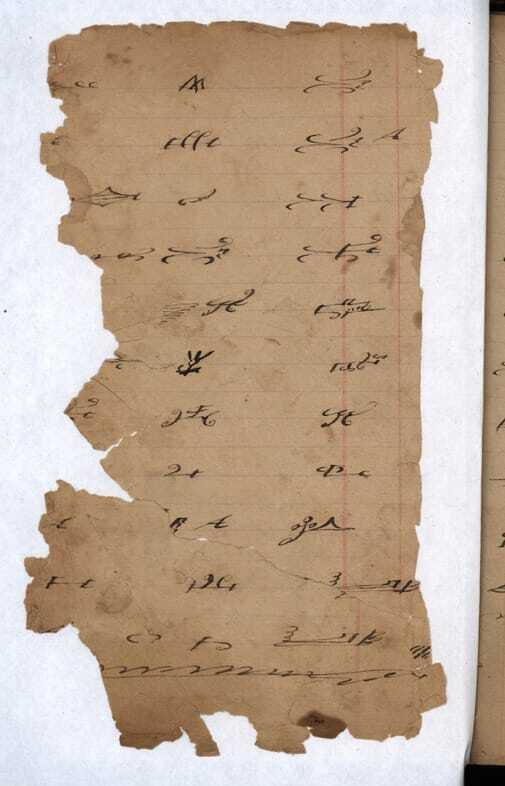 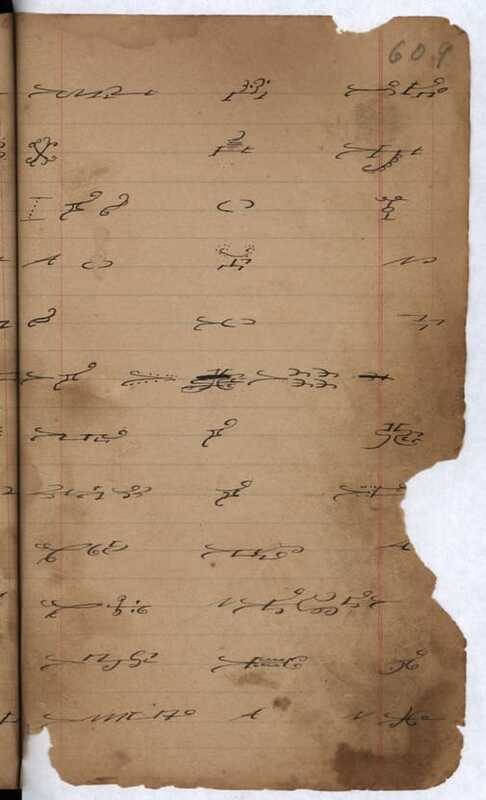 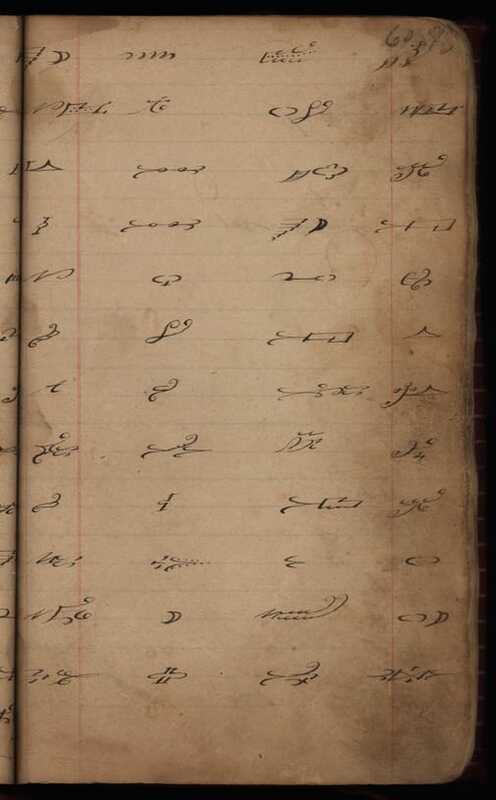 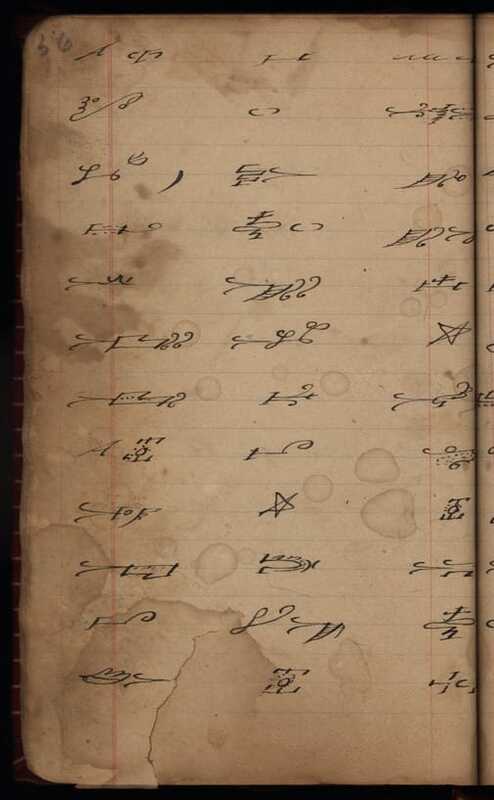 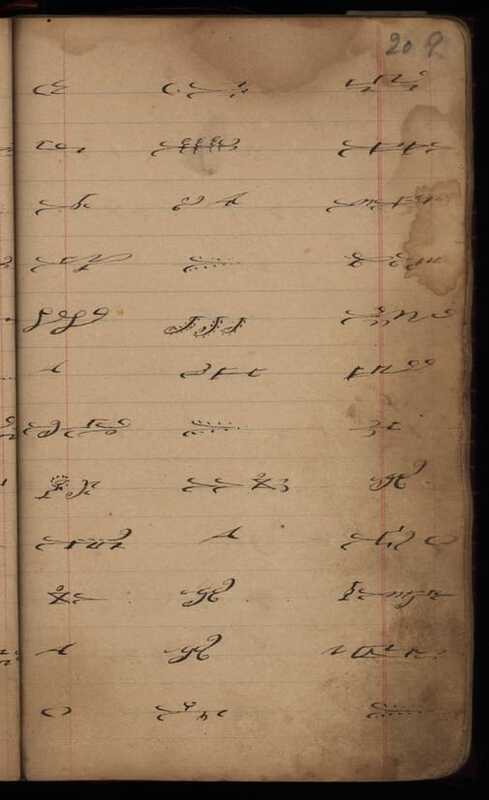 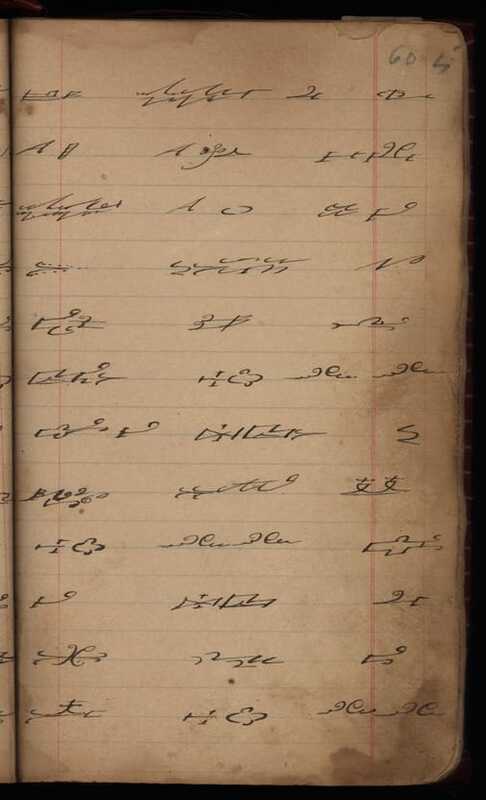 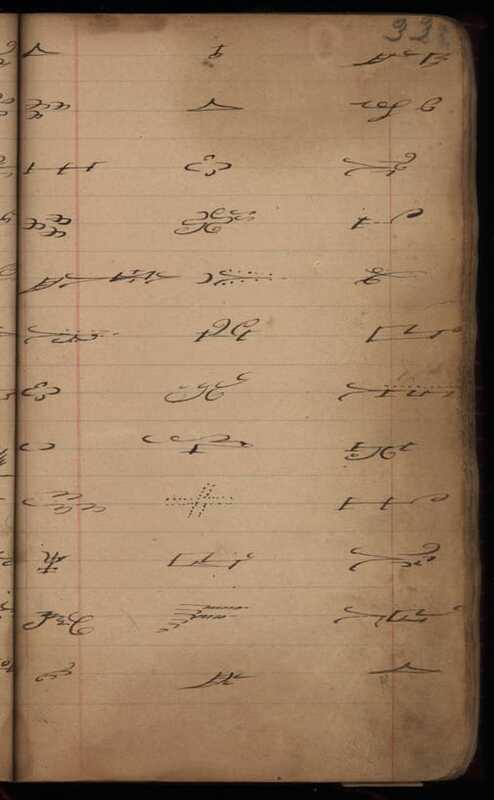 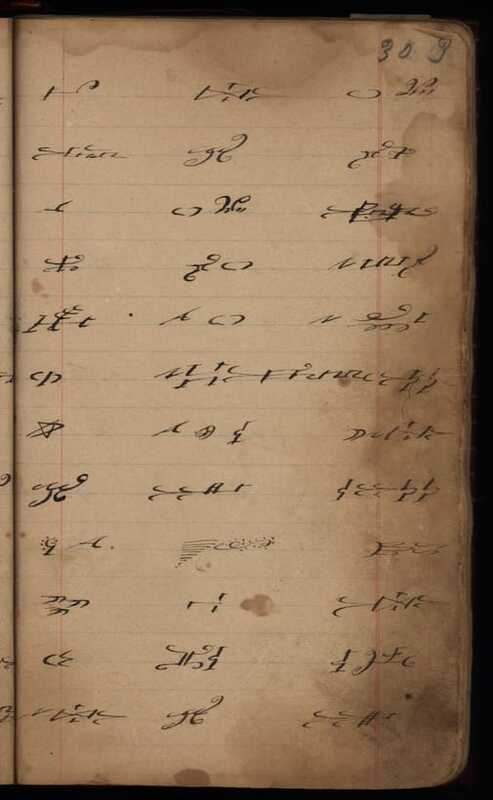 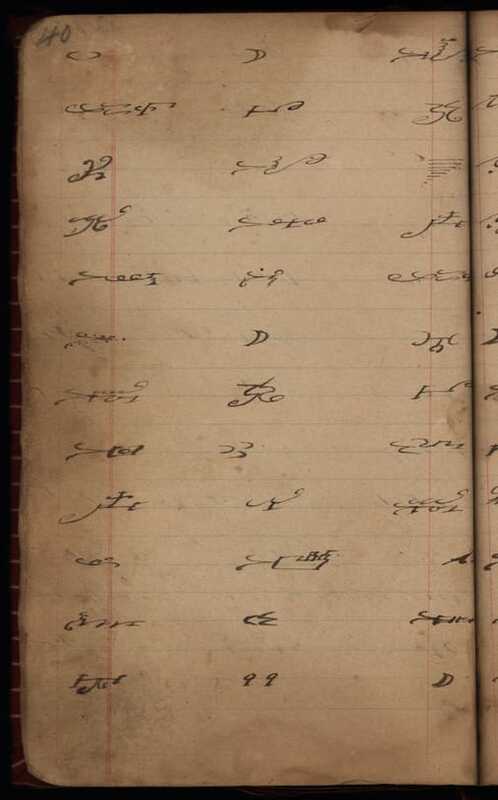 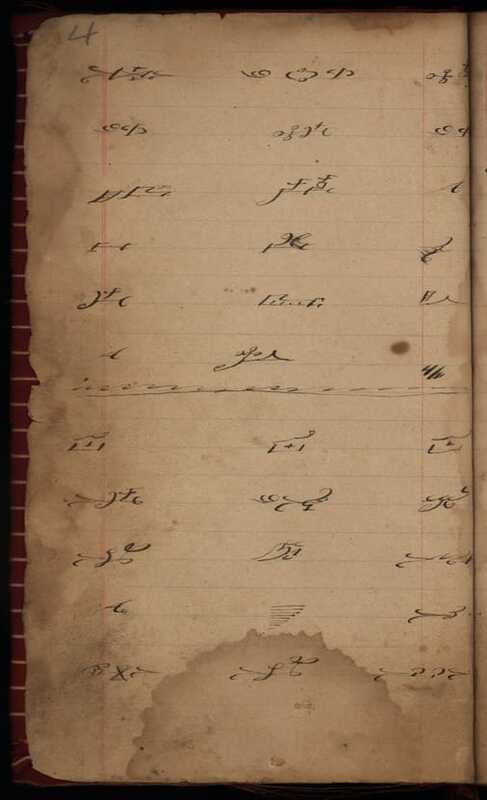 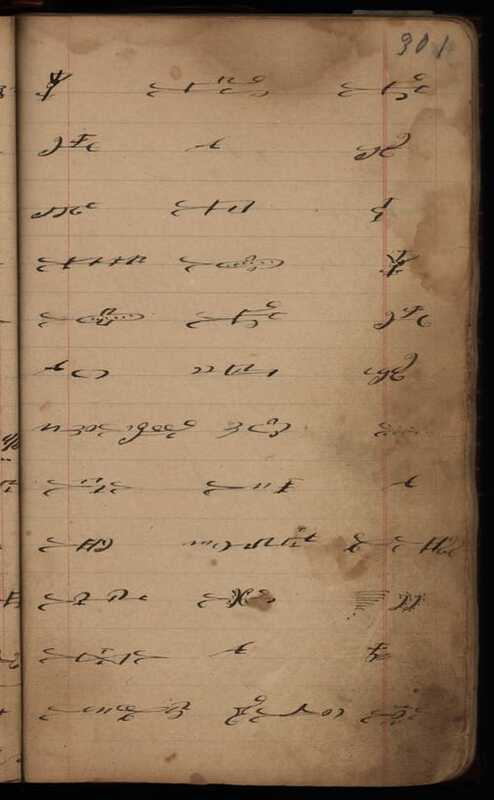 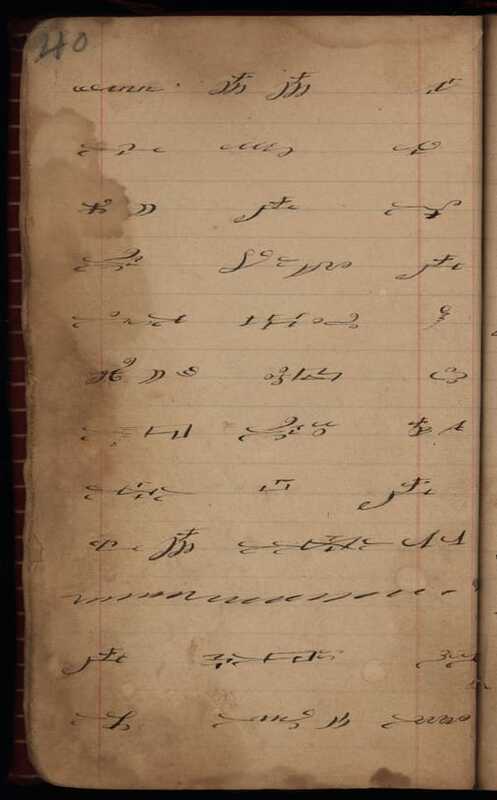 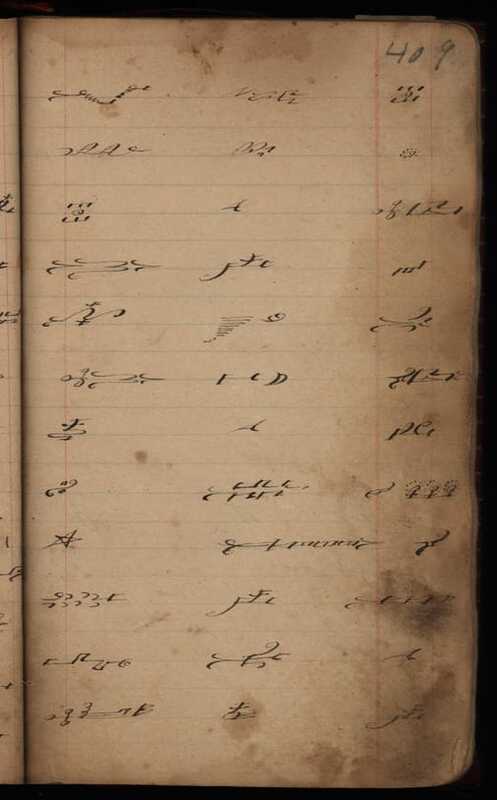 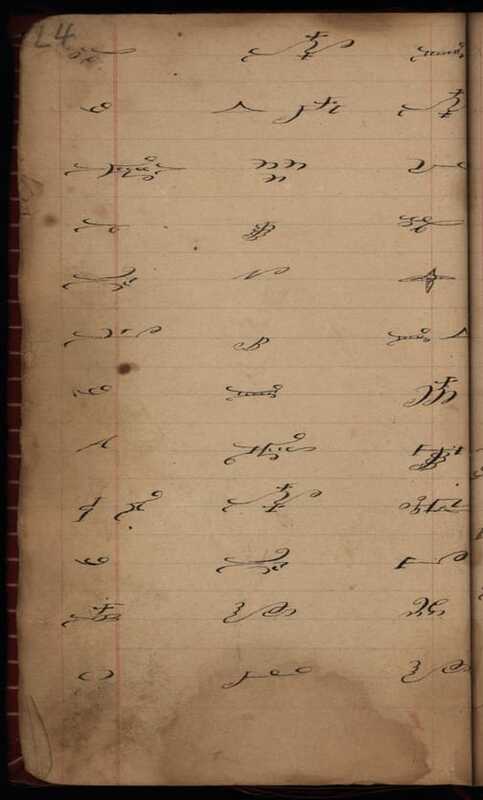 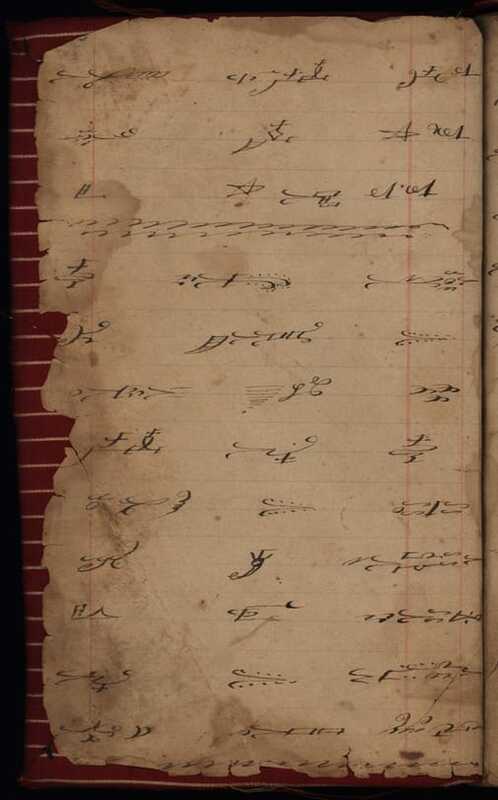 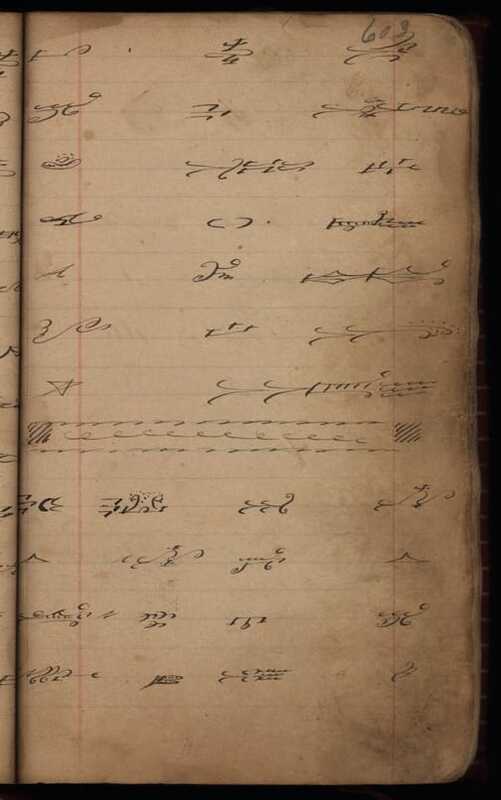 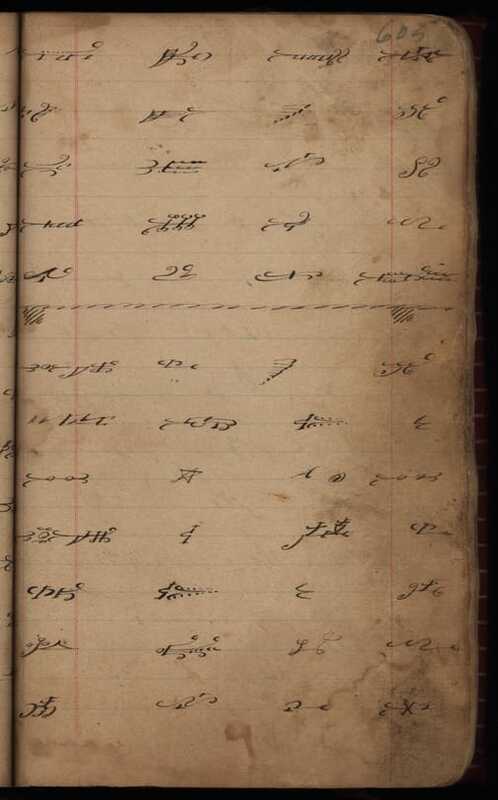 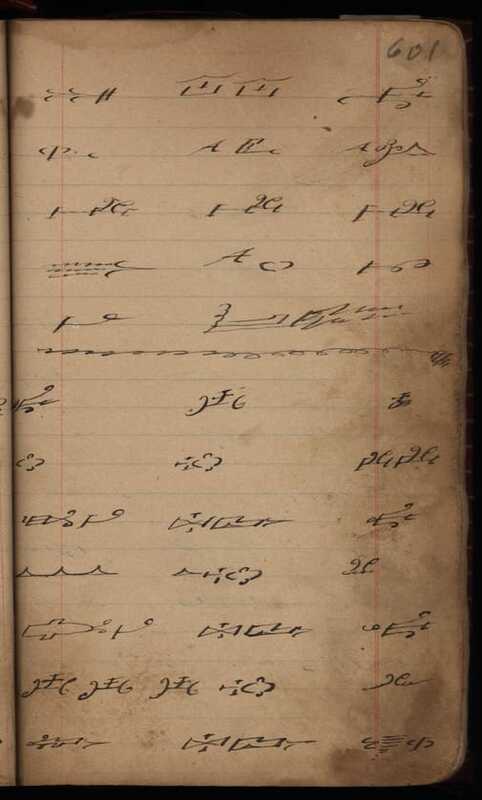 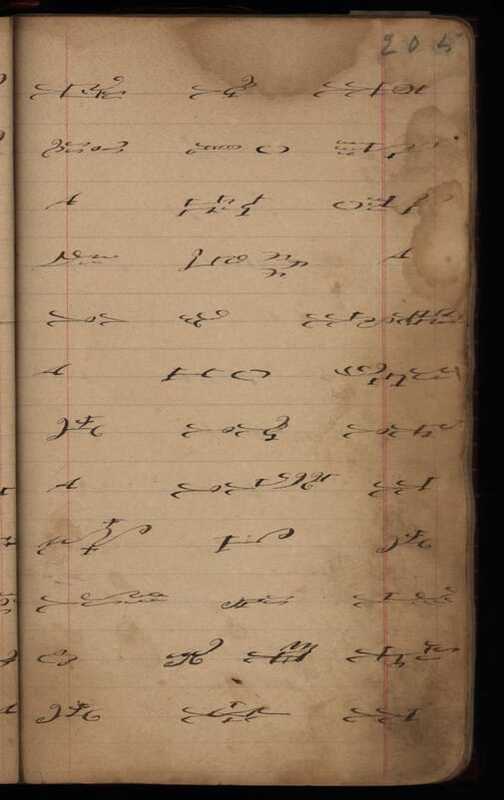 This undated and as-yet unidentified manuscript is written in the Mi'kmaq (Micmac) writing system and contains at least two texts, written dos-a-dos. 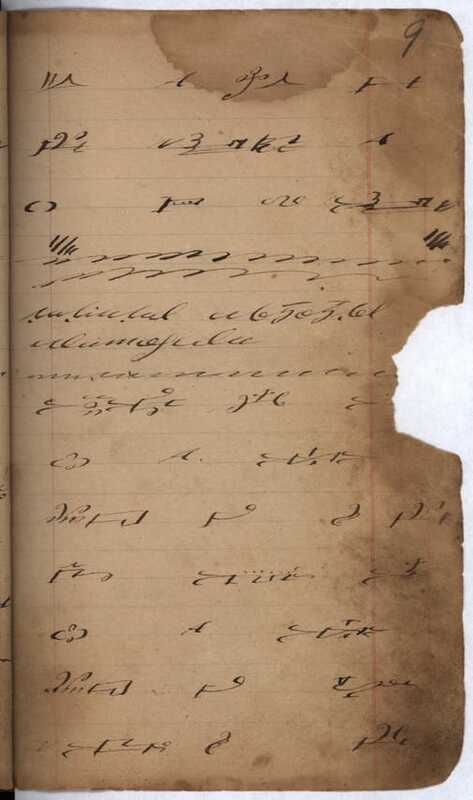 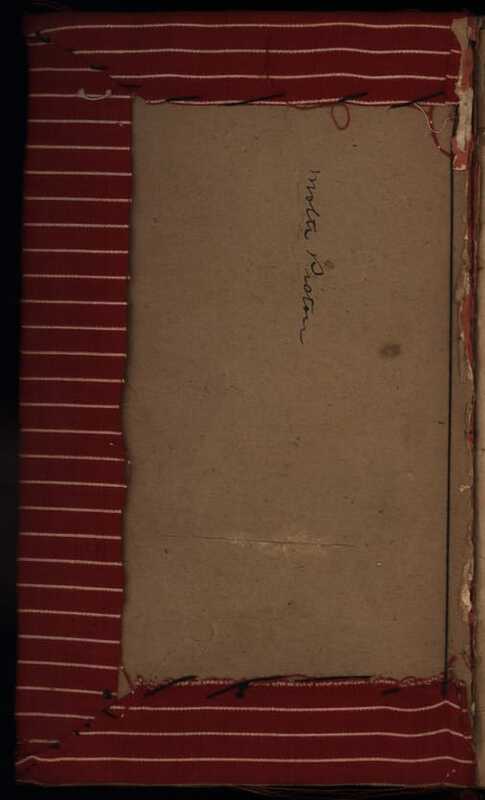 A loose page laid into the front of the manuscript includes records of the births and premature deaths of Joseph William Pictou (1909-1910) and Joseph St. Clair Peters (1907-1909) and a possible ownership inscription dated 1903 of Mrs. Sarah Ann Pictou, Indian Hill [Reserve], Bear River, N.S. 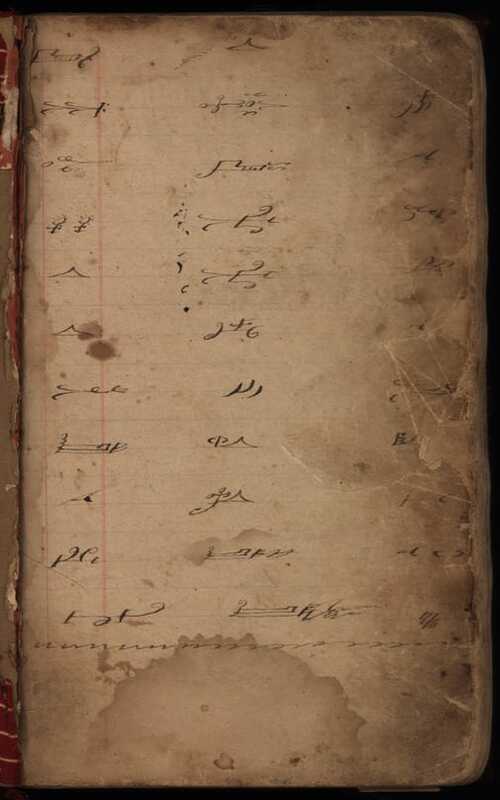 Although the extended Pictou family appear to be involved in the provenance of the manuscript, its precise authorship remains uncertain. 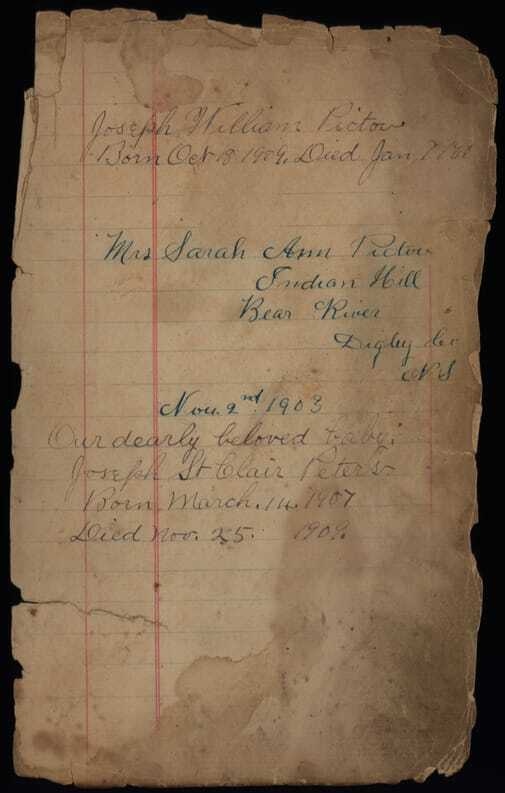 The name Sarah Ann Pictou coincides with a daughter of Benjamin Pictou (1862 or 1864-1959), however the inscription clearly notes her as Mrs., suggesting someone who married into the family, whereas Benjamin's daughter was married Joseph Fossie well prior to 1903. 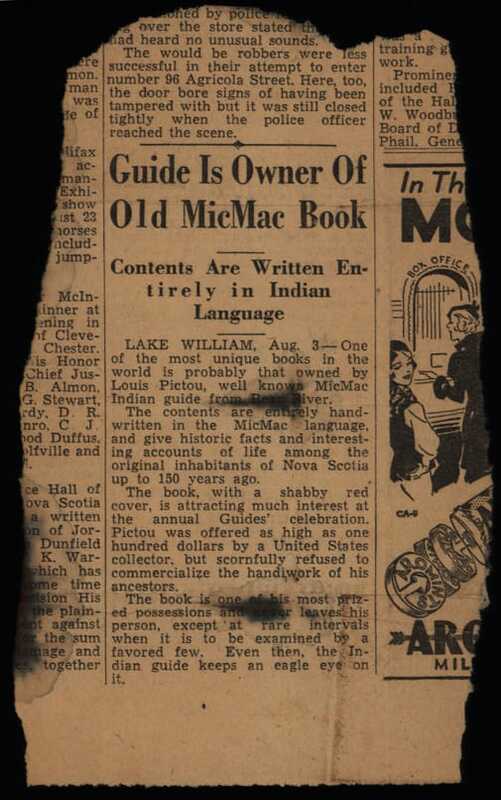 An accompanying newspaper clipping from approximately 1930, but undated, indicates that the manuscript was owned by Louis Pictou, who may be the son Chief Silvi Joseph Pictou and grandson of Benjamin. 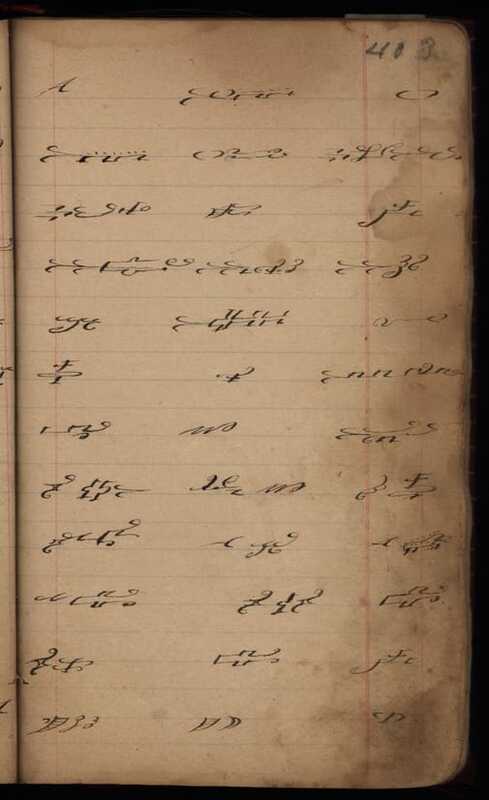 In the article, Louis is identified as an "Indian guide" on the Bear River, and states that the manuscript was written by his "ancestors."